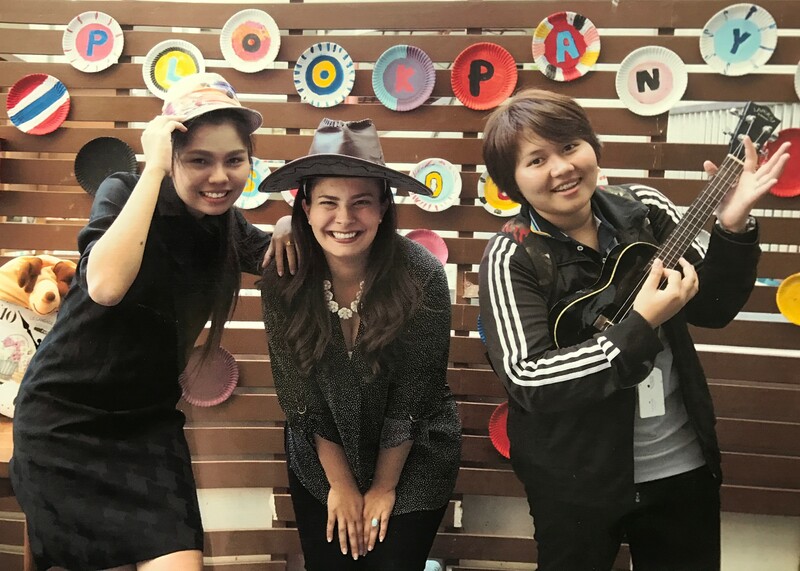 Ellie graduated from XploreAsia‘s accredited TESOL course in August 2018. 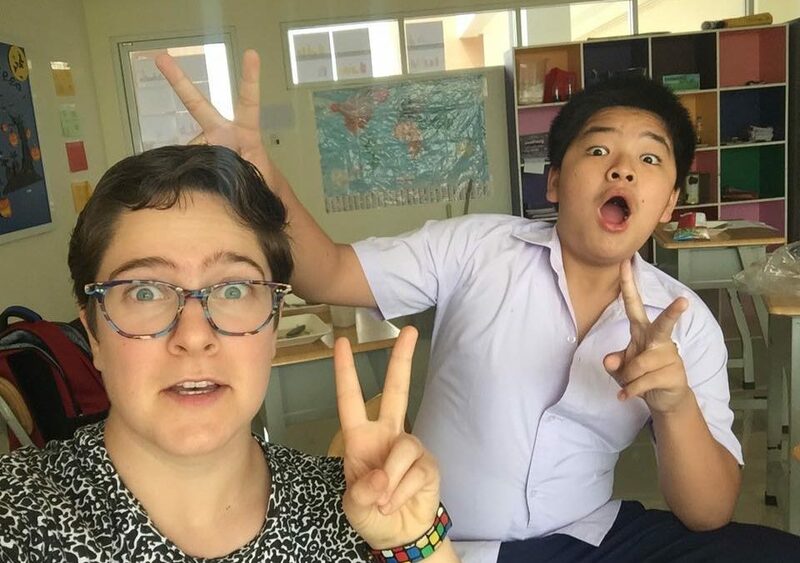 Learn more about her experience as an English teacher at an English Writing Center outside of Hanoi, Vietnam! Over the last few months I have lived and worked in Hanoi as an English Teacher for a Private Language Centre. My day to day routine is very much dependent on the hours and responsibilities that come with my position at the centre. My schedule can switch and change depending on team meetings, training and teacher cover. Generally, however, it does stay the same. In just a few months I have managed to build a routine that allows me to pursue hobbies, travel and explore the vibrant city of Hanoi and beyond. As I work for a Private Language Centre, I’m required to teach 25 hours over the evenings and the weekends, with two days off during the week. Initially, I thought I might find this schedule hard to regulate. And as someone who’s been used to having weekends and evenings for quite some time, this schedule felt somewhat strange. However, I have grown to love it! I have found time that I never thought I would have. My alarm goes off. Slowly I’ll drag myself out of bed and to the gym. My local gym is just around the corner costs around $12 a month. Or (300,000 VND). At this point I appreciate the luxury of being able to snooze for another 30 minutes if needed. After my tiring 9-5 routine back home, time is for once on my side in the morning. 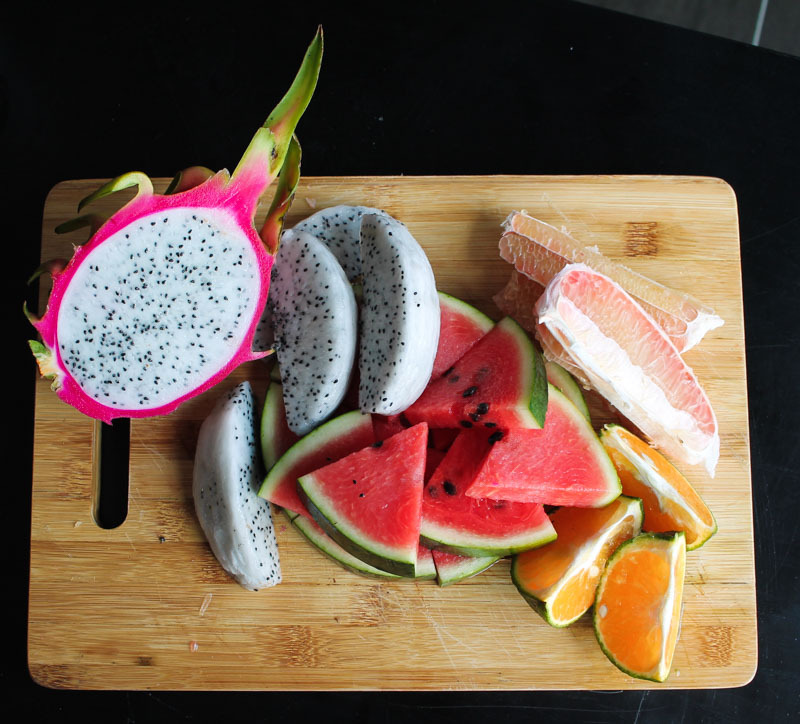 We arrive home and prepare a delicious and colourful plate of fruit for breakfast. Brew a coffee and watch the news. Once I’ve had a chilled breakfast I’ll get myself ready for the day. I’ll start thinking about any errands that need to be run and which of Hanoi’s many incredible coffee shops we’ll be heading to. 10:30 – Set out to our coffee shop of choice. 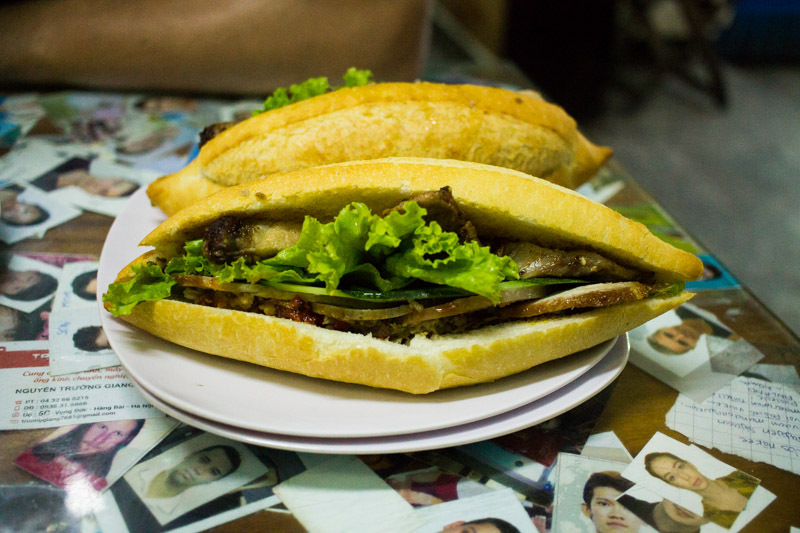 One of the most appealing things about Hanoi is its endless amounts of cafés and lunch spots. 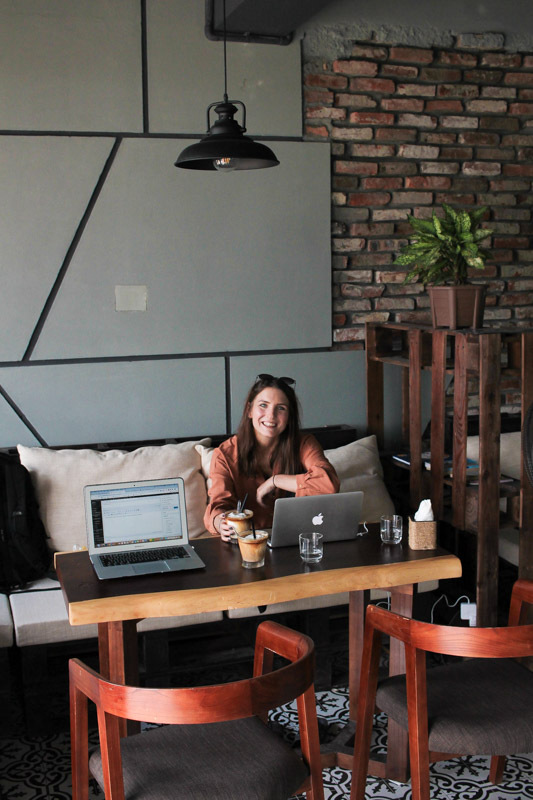 It would take you a very long time to discover Hanoi’s entire extensive coffee scene. Once we’ve found our spot, we will spend a couple of hours enjoying one of Vietnam’s many delicious coffees. My favorite being the coconut coffee and Eddie’s a traditional egg coffee. Here we will work on various different things. Generally I will write about our experiences in Vietnam, travel plans and teaching for our blog. Eddie uses this time to write for a second income. As an experienced content writer he is able to earn money by writing for others online and for his own websites. We try to be productive as we can! Most of our friends also use this time to pursue various different hobbies and side jobs. Some teach in the mornings, others learn to play guitar and a couple even rock climb. It’s precious time most of us are not used to having, and something that is greatly appreciated by most teachers here. Decide what we fancy for lunch. Again, the choices are endless. Eating out in Vietnam can be as cheap as $1 for a delicious meal. It is arguably cheaper than buying and cooking in. Depending on how we are feeling, we could go for a western brunch or a street side Pho. Western food is much more expensive, but cheaper than home. It’s generally a treat we allow ourselves once a week. With full bellies from lunch, we head home to get an hour of chill time before we set off for work. During this time we usually take the opportunity to have a nap like the locals or to watch some TV. Set off on our 30km commute to work. Don’t worry, a 30km commute isn’t the norm for most teachers in Hanoi. Eddie and I were placed in a center 30km outside of Hanoi. We made the decision to continue living in Hanoi and to commute by bike to work. It usually takes us about 40 minutes depending on the traffic. Most teachers can expect up to a 30 minute commute, sometimes even longer if traffic is bad. Generally a job in a private language center will require you to travel during rush hour, which means commute times can vary greatly. Lessons in our center don’t start until 17:30 during the week, which allows us plenty of time to review lesson plans and prepare for the evenings two lessons. Each lesson at our center consists of two blocks of 45 minutes, with a 5 minute break in between. Every teacher is different. Some teachers like to carry out all of their planning and printing on one day, others prefer to arrive early to prepare before their lessons. I personally prefer arriving an hour before class begins each day to prepare lessons. This is mainly because it keeps things fresh in my mind and I don’t end up with brain fog in class. The evening starts to get into full swing. I start to hear feet pattering in the corridors and the squeals of excited children ringing in the air. At this stage I find it very difficult to actually get anything done. The kids seem to know few boundaries and I find them running in and out of my classroom as they please. As I teach the younger ages, it is very hard to ignore them. I quite enjoy this period of madness. As I teach the younger ages I use this time to try and tire them out as much as possible before they have to stay relatively calm during my class. We do our best to calm our students and line them up for class before teaching begins. At this stage every day is different. Some days classes are a dream, others are a nightmare. It all really depends on how prepared you are for lesson, what sort of mood your students are in and what sort of mood you’re in. “Teacher fit” is a term I have heard used to describe a certain fitness level that can only be obtained through teaching. At first I didn’t really understand what it meant, but now I certainly do. Teaching has you running around, dancing, singing, jumping up and down, shouting words and generally pacing. 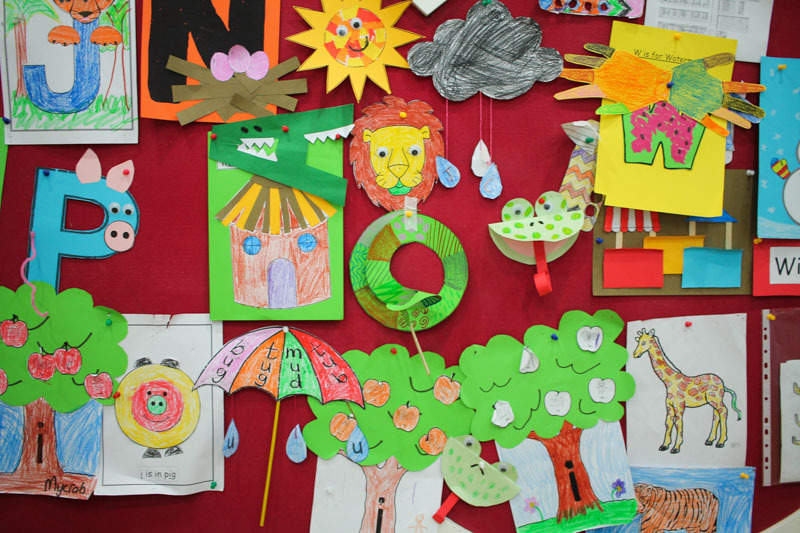 It is a term that is particularly appropriate for kindergarten teachers. Two classes in a row can really take it out of you. The bell rings for the end of the day’s final lesson. We say goodbyes to our students and send them on their way home. Once all of our admin is completed, we aren’t far behind them. It’s time for us to reflect on the evening’s lessons and think about what we might do differently in the future. As teachers I believe we learn something new from each and every lesson. I always leave the classroom feeling as though I have gained something. We throw together a simple meal, such as a stir-fry or omelet and appreciate some well deserved peace and quiet. Depending on how we are feeling, we may stop in at one of the street food stands for dinner. During this time we will wind down with a book or some TV. It’s often quite hard to shut off after being so active for the last few hours, so allowing ourselves this time is necessary. As I mentioned before, if you work in a Language Centre it’s likely you’ll be working long hours over the weekend. For us we teach 3 lessons on Saturday mornings and 3 lessons on Sunday afternoon/evening. It can be a challenge sometimes getting in for 8am on a Saturday morning, but I quite like it. I don’t know whether it’s the time or whether the kids haven’t been at school all day, but I find they are somewhat more chilled. Around those hours we stick to a similar routine, with a few beers with friends thrown in on a Saturday evening. Days off in the city are my favourite. Simply hopping on a bike with no plan and no particular place to go is a great feeling. 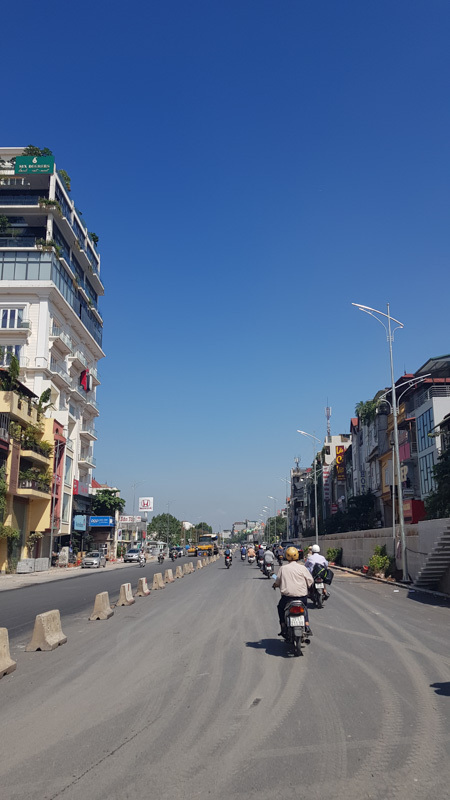 Hanoi is full of interesting things to do and some wonderful things to see. 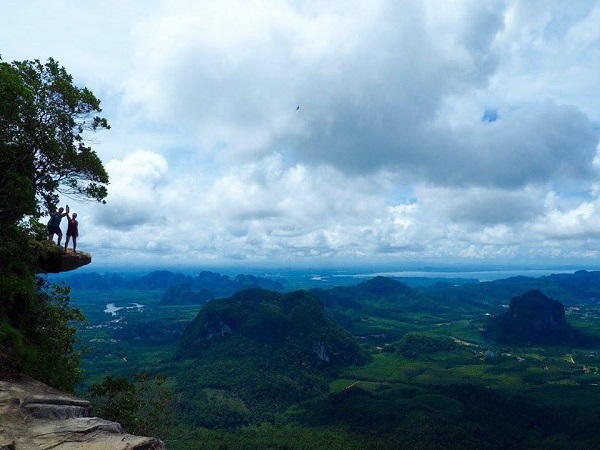 If we’re feeling more adventurous, we might even hop on our bike and head to Ba Vi National Park or Tam Coc. Both a straightforward 2 hour drive from Hanoi. In the evenings we will normally meet up with our pals from work and go to an open mic night or to a karaoke bar. We definitely work hard, but the reward is so worth it. 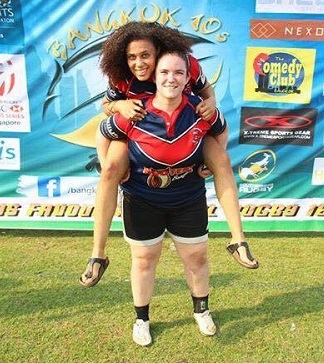 You can follow Ellie and Eddie’s journey over at www.idiotsteachabroad.com! 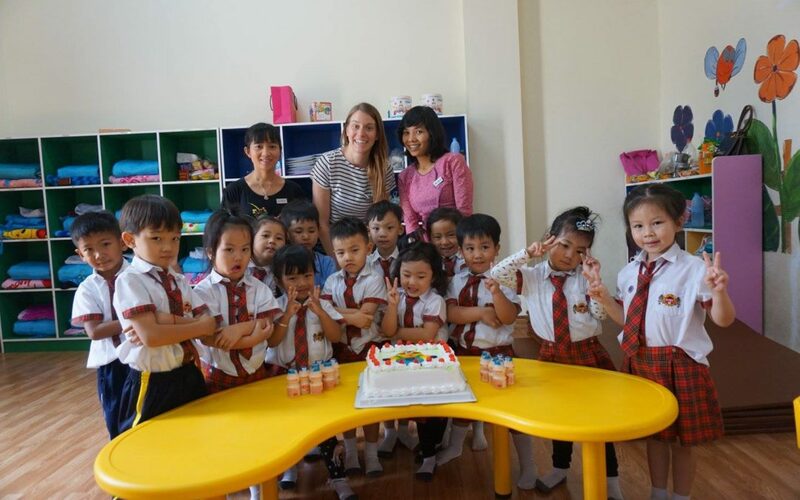 Ever considered teaching English in Vietnam? 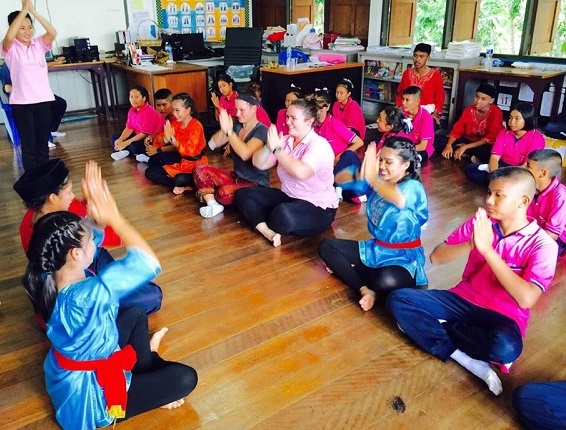 With XploreAsia, you could be living and working in this diverse country, gaining a deeper insight into the culture, interacting with local people and making a real difference in the community through teaching English. 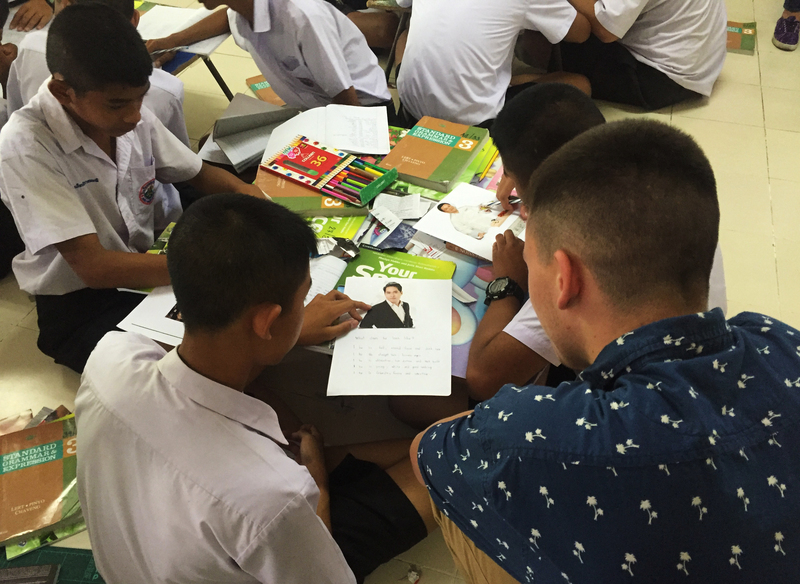 For more information on this program, visit Teach in Vietnam! 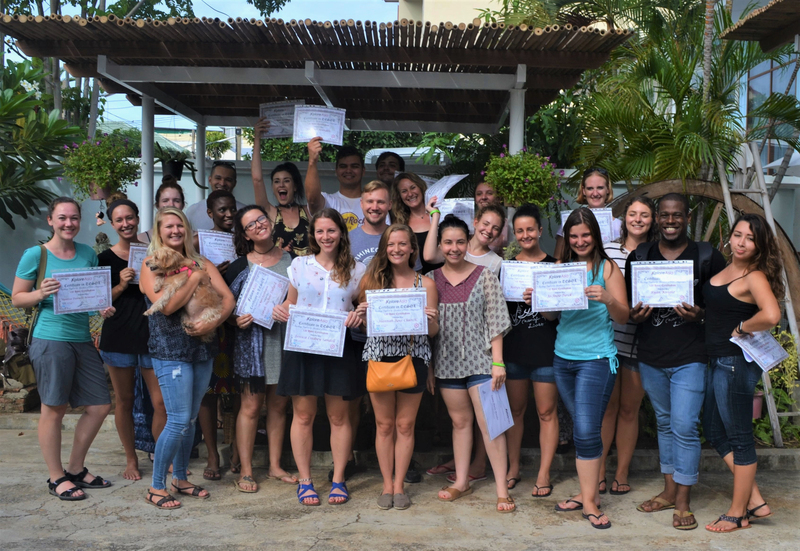 Elizabeth Collins graduated from our accredited TESOL course in Hua Hin in July. Below, she writes about her experiences following graduation and adjusting to life in her placement town, Lat Krabang. 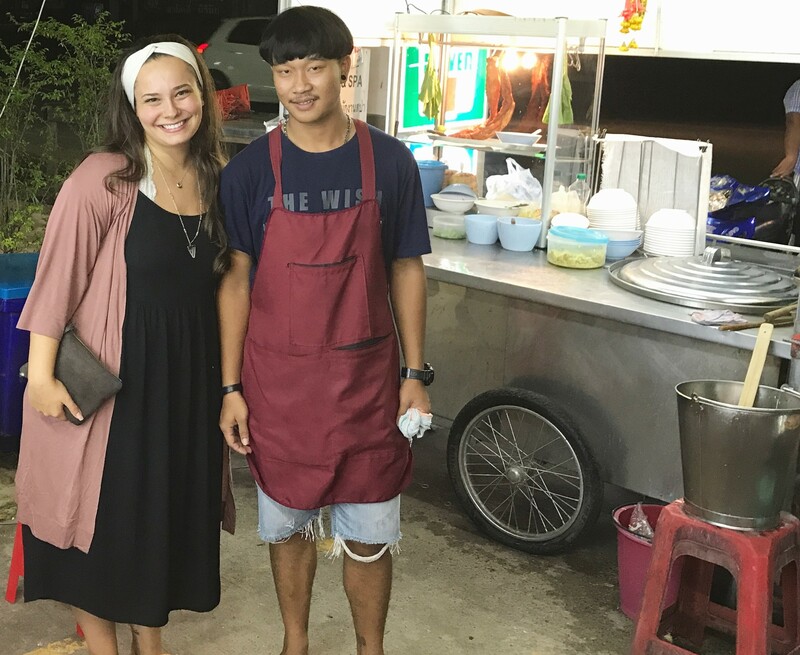 To hear more about Elizabeth’s journey teaching in Thailand, make sure to head over to her personal blog. When I first decided to start teaching in Thailand, I knew there would be a period of adjustment. Aside from the initial challenge of adapting to living on the other side of the world, I’ve also had to challenge of getting used to life in my placement town. I live in an industrial area and there is not much close by in the ways of food; I remember initially feeling fairly isolated from everyone and everything. There is not a night market within walking distance and the closest food vendors seem to close before 5pm. Those first couple of nights I survived off 7-11 grab-and-go food. This only compounded my feelings towards my new town and increased my feelings of homesickness. 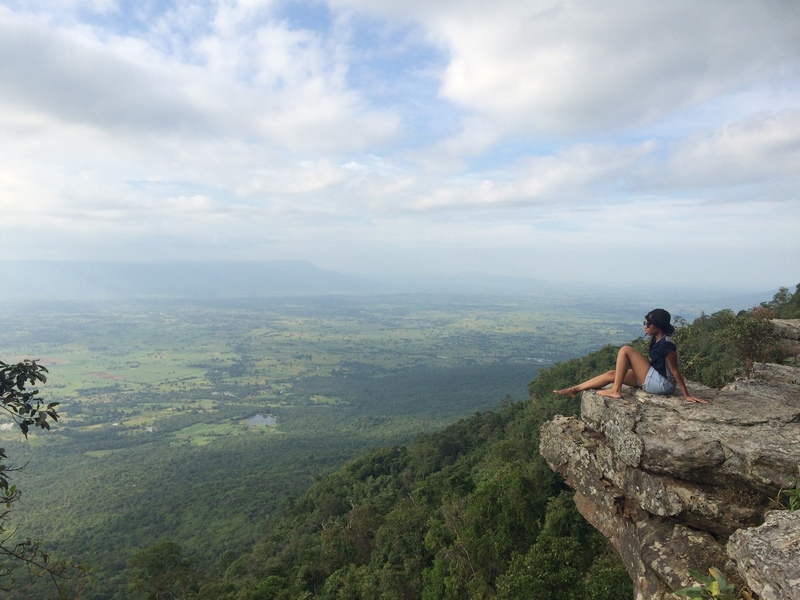 One thing that helped me feel more settled in Lat Krabang was establishing a routine. My first task was conquering the transportation system around town. Elizabeth out exploring her new town. One thing about me, I am pretty directionally challenged. I grew up in San Diego and I still get lost going places. The idea of taking a songthaew (and there are three colors to choose from, all going in different directions, and instructions are only written in Thai), to the Airlink, and switching to the next train system, was daunting to say the least. Fortunately, another Teacher was kind enough to spend about an hour with me showing me the ropes. I spent my first weekend here taking different songthaew’s and trains in and out of the city. Not only did this build my confidence, but it also allowed me to see more that this little town has to offer- and there is actually quite a bit! By Sunday I found myself slowly falling in love with my new home. I found a gym, a night market, and a nice area to eat every night. I still get pangs of homesickness but spending time getting to know my new area and some of the people in it was the best thing I could have done. There are very few Westerners here, so hearing and speaking English is limited. But I walk by the same people every night and we smile, I buy food from them, and we share a laugh as I practice my Thai and they practice their English. There also happens to be an amazing coffee shop below my apartment where I spend a lot of time chatting with the owners. These are the moments I feel most at home; having a cup of coffee and chatting with new friends. One of the most incredible things that I continue to be in awe about, is the kindness of complete strangers. There are times, especially when I first got here, where I had no idea how to order something, or I was clearly on the wrong songthaew, and a stranger stepped in to help. It can feel overwhelming in some moments to be surrounded by people who don’t speak your language, to not understand basic instructions, to have a bathroom situation that is nothing like home (side note, never leave home without toilet paper…you’ll thank me for that one day! ), and in addition it is 90 plus degrees out with 88% humidity. All this whilst you are crammed on a vehicle, and the driving leaves you closing your eyes as you pass a bus with only inches to spare. The random acts of kindness do not go unnoticed. They have brought me to tears at times with gratitude that someone who doesn’t know me is willing to let me know “hey, time to get off the bus!” It’s also great to hear a stranger striking up a conversation with me because they want to practice their English. Those are the moments, tough as they can be, that help you grow, and Lat Krabang has started to feel more and more like home. These moments also remind me that wherever I am in the world, engaging in random acts of kindness is always worth it. 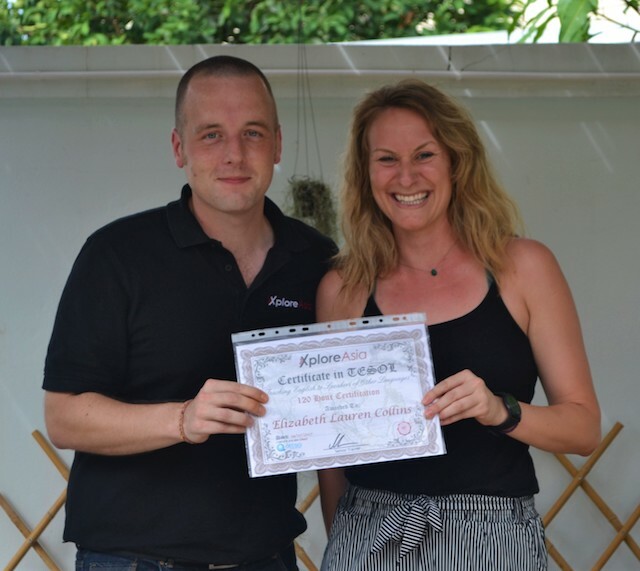 Elizabeth receiving her TESOL qualification following completion of our in-class course held in Hua Hin, Thailand. However, the biggest adjustment so far has been taking on the role of Teacher. My first week teaching was both nerve wracking and exhilarating. I had at that point, months of emotions built up about the first class. I had never taught before (with the exception of the two-day English Camp in Hua Hin) and this was a bit of a career change for me. I am a Therapist back home and will one day return to the field, but over the last several months I felt a tug on my heart to try something new. I felt like I was not living life to the fullest. I wanted to find another way to give back but I didn’t quite know how. The inspiration for this career change came after a lot of soul searching after the death of my best friend. I did some research one day and it feels like the rest is history. Everything seemed to fall into place perfectly. My first week teaching was a whirlwind. I teach 22 classes per week and about 20 of those classes have 50-55 students. I see all but one class, once a week for 50 minutes. And truth be told, 50 minutes is more like 40 minutes because there is no passing period. The proficiency of my students varies greatly. Some can carry a small conversation, others struggle to understand what we might perceive as simple instructions. 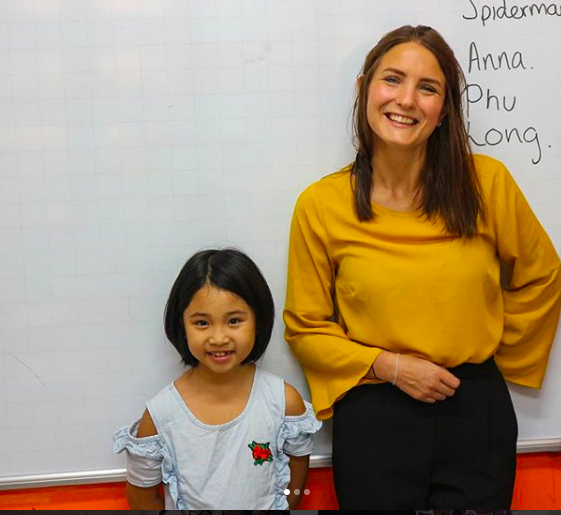 One of the benefits of not understanding Thai and living surrounded by it is that I now have such a greater understanding and appreciation of my students struggle with learning English. 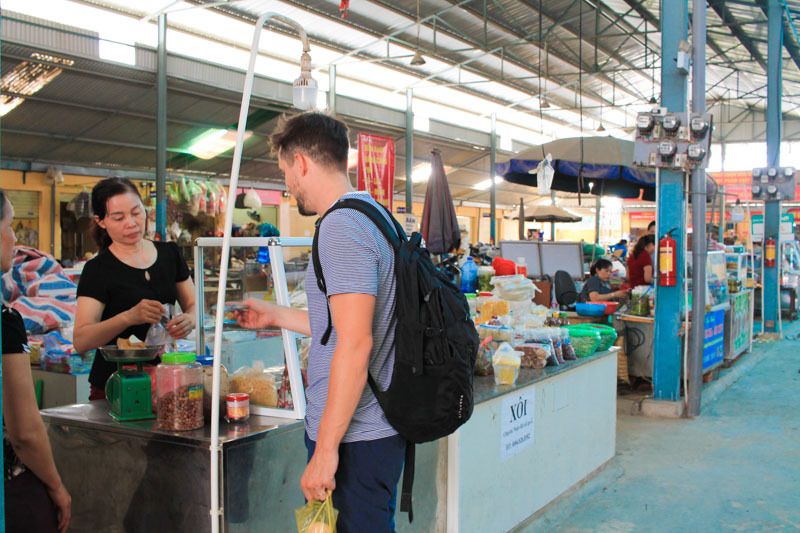 How many times have I, like them, not understood a simple command or instruction, or not understood that something costs 20 baht when I hand over 40 baht…or even worse, I give 10 baht and they patiently try to explain I owe them more. Something that helped me a lot during that first week of teaching, was to check my expectations at the door. With the large class sizes and the variability of proficiency levels, as well as my own fears and doubts about being successful as a teacher, I took a moment to myself before every class. I reminded myself why I was here, I took a deep breath, and focused on making connections with my students. Whether that was through sharing a smile, a short conversation, or laughing with students about any number of things that I didn’t yet understand yet. For example, where do you turn on the AC? Don’t worry, the kids will let you know. Why do some white boards require special chalk and others a pen…and which is which? Again, the kids will let you know. Remembering to tell the kids they can sit down after they greet you in the morning… yes, I forgot and yes, they will certainly remind you! Elizabeth making connections with her class. I reminded myself to keep my sense of humor. It is so true, if you don’t laugh you might just end up crying, so when the choice is yours, laughter is always the best medicine. There were times- there still are times (every day, actually)- when the students are talking in Thai, and no one is listening to the lesson plan I’ve worked so hard on, and someone appears to be looking at me and possibly laughing (is there something on my face??!) and that is when I take a deep breath, remember my goals, and focus on connecting with the kids. I use those tough moments, because they will come, to remember why I’m here, what my goal is, and I channel that energy into practicing English with the students that are engaged (don’t worry there are plenty of students who are very eager to learn). I do my best to reign in the students that are off task, and then I remind myself to smile and laugh with the kids. I won’t say that the first week of teaching or living here was easy, because it wasn’t. There were moments where I doubted myself, moments I had to throw what I learned out the window and just experiment with what worked best for me and my students. But there were also countless moments where I can’t remember the last time I had laughed that hard, moments I felt such intense joy that I hadn’t felt in a long time, and excitement over being on this journey and truly feeling how this experience is changing me from the inside out. So, if you are thinking of coming and teaching in Thailand, take the leap. It’s not perfect, and there are difficult moments, but those are the moments in which we grow. When we don’t shy away from the fear, when we face our insecurities and then prove to ourselves we can do it, that is where the growth happens. And at least for me, that is why I am here. To grow as a person, to discover a little more about myself, and to build trust with my students to ensure they can learn as much as possible from me. It can all start with just sharing a smile. Elizabeth’s TESOL class graduating in July, 2017. 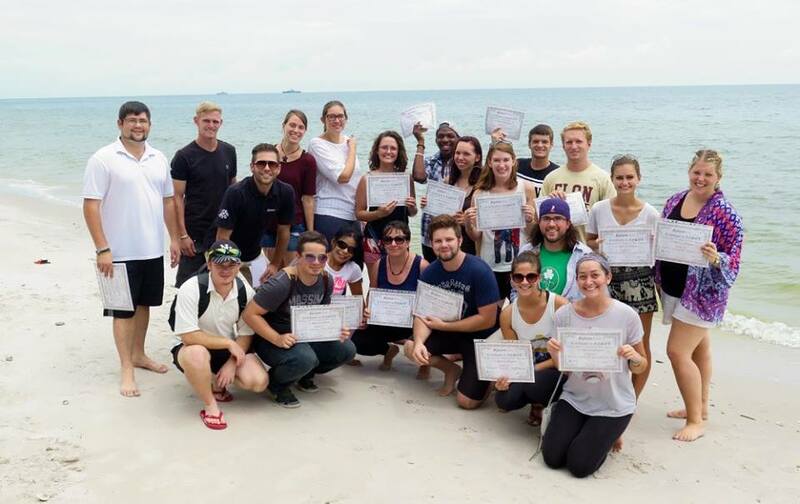 If you’re interested in starting a new adventure teaching in Thailand, check out our accredited TESOL course. How was your experience with XploreAsia? 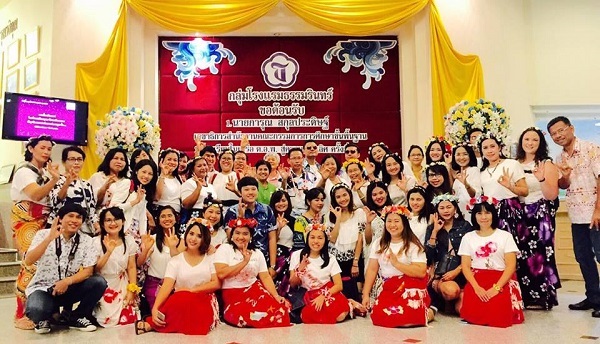 Did it prepare you to move away on your own to begin teaching in Thailand? 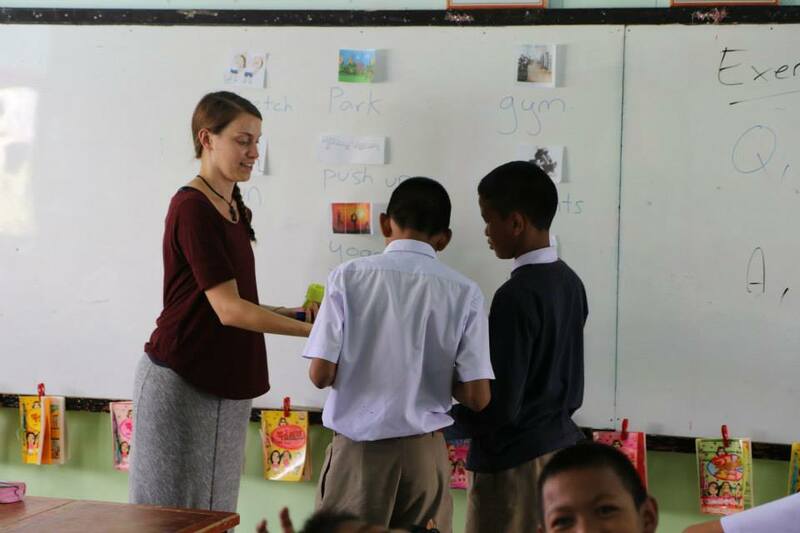 Hannah getting her first taste of teaching in Thailand at the Hua Hin English camp as part of her TESOL course. I LOVED every single day with XA! Orientation week was a blast, all of the people in my group were funny, brave and kind; we just had a great time together! The TESOL training was difficult but we all learned a lot, especially teaching at camp. I’m not sure if it’s possible to feel fully prepared going out on your own to a city where you don’t know anyone, but I had the confidence that I could give it my best shot. XA gave us multiple pep talks about how difficult it would be, which I think helped prepare us mentally. What was your first day arriving at your placement like? Oh goodness! Someone picked me up from the bus station and we went to my apartment to sign all the papers which were completely in Thai. There were some kinks where I was paying more than I’d thought but I was so tired from the early morning van ride that I just went with it. It was still less than $125 a month! Then he took me to the nearest supermarket so I could get things like bedding and toilet paper and he helped me bring it all the way up to my 7th floor apartment room! It was an awkward first day; he even asked if he could use my bathroom. So, a total stranger was just pooping as I was putting the sheets on my bed! But again, I just rolled with it. In the end I was thankful for his help! I did get lost getting to and from school on day one, but if you just embrace it and don’t freak out and know you can always ask for help, you will get home eventually! What have your first few weeks of teaching been like? What has been your favorite moment? They are long days for me. 7:30am to 4pm with only an hour or maybe two hour breaks a day. I’m teaching between 7 and 9 classes a day so it’s a lot of energy. I arrived in time to be here for their Mother and Father’s Day celebrations where they dressed us all in traditional Thai outfits and it was absolutely amazing! The teachers are always very nice to me, the kids are very sweet, and I just dove right in and I feel like part of the school already! My favorite moment was during the Mother’s Day celebration. I got to sing You Raise Me Up with 300 three-to-five-year-olds on stage for their moms! It was a moment I will never forget and I am so happy it’s on video! All those little voices singing with me is the cutest! 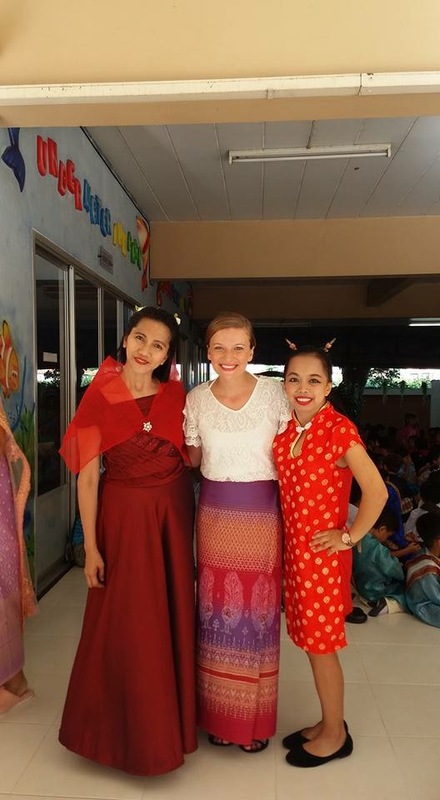 Hannah dressed up with her students for their Mother’s Day celebration. What were your biggest fears about teaching and/or living abroad and how did you overcome them? Just being brave enough to go outside my comfort zone has been the most challenging. When you’re here, it’s just you. No one can fix the problem for you and that’s hard to fully comprehend until you’re in a situation. I’ll get lost, or get food poisoning, or get thrown into teaching a class I wasn’t scheduled for, and I have to just take a deep breath and figure it out. But every time I try something new and overcome a challenge I feel my comfort zone expand, so I can keep pushing it further and further which is really awesome! Have you traveled to anywhere else in Thailand yet whilst you’ve been here? 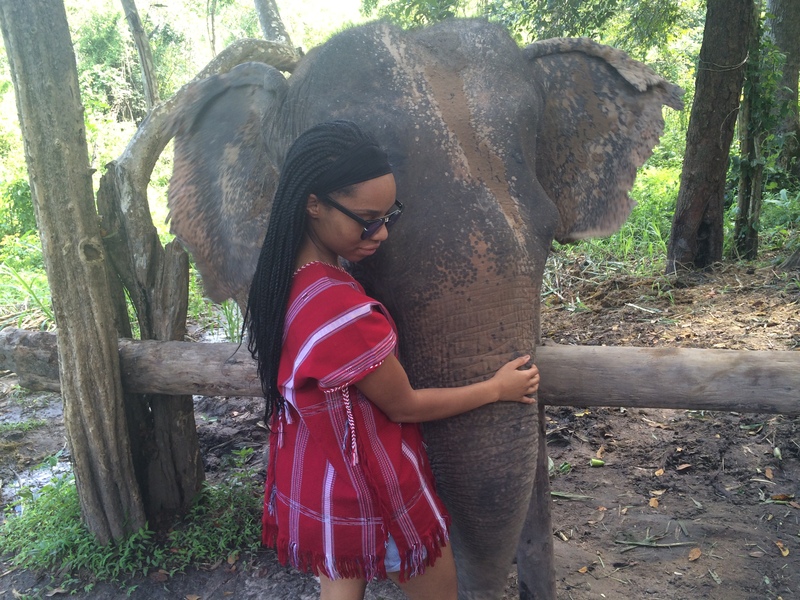 Yes, I’ve been to Chang Mai with some TESOL classmates and we played with elephants (no riding!). We got to play in a mud pit and bathe them in a lake and it was incredible! We also took a cooking class there which was delicious and fun. 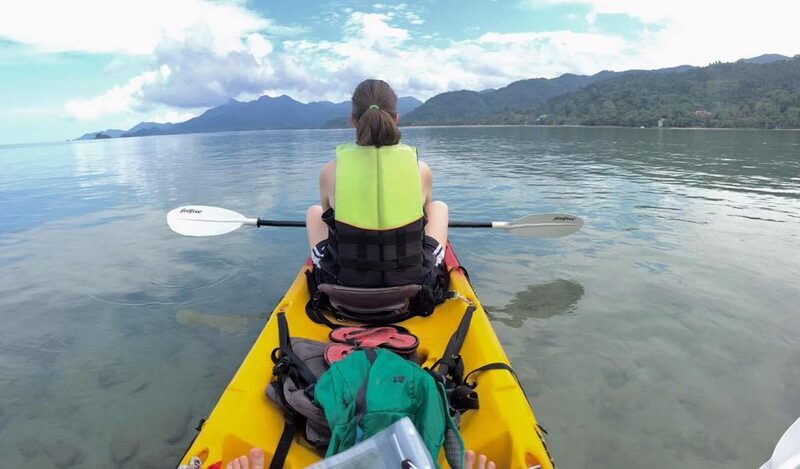 We also went to Krabi and Phuket and did some island excursions where we went snorkeling and canoeing in caves and lagoons and the views are breathtaking! But Bangkok itself is actually really underrated! It’s an amazing city! Every weekend, I go and explore a new neighborhood and I am always surprised at the adventures I find myself in. I’m hoping to go to Ayutthaya next weekend to see some ancient ruins. 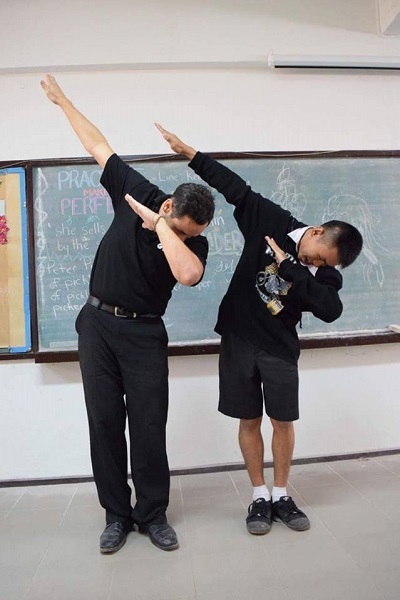 What is the best thing about living and/or teaching in Thailand? Just knowing that I am helping every day to give these kids their best chance and they don’t even know that, it is incredibly rewarding. They only think of you a teacher, but I know that every word they retain might help them as adults to have a better life. Sometimes it is difficult meeting people that are just here on vacation, and you know you have to go back to work on Monday, but traveling for a purpose is the ultimate good feeling. And I get to travel everywhere on the weekends and get paid to do it, so there’s nothing to complain about! What advice would you give to new teachers thinking of coming over to teach in Thailand? I want to say “do it”, but be prepared: it can be scary. Try to save up before coming so that you don’t have to limit yourself. A lot of my friends ended up scrimping until their first pay-day so, even though I still had money saved, they couldn’t come with me on trips. I would also advise you to start preparing yourself at home. Go to new places, try new foods, and perhaps leave your phone at home so you can see what it’s like to not have google to solve a problem right away. It will give you confidence for challenges you face here. 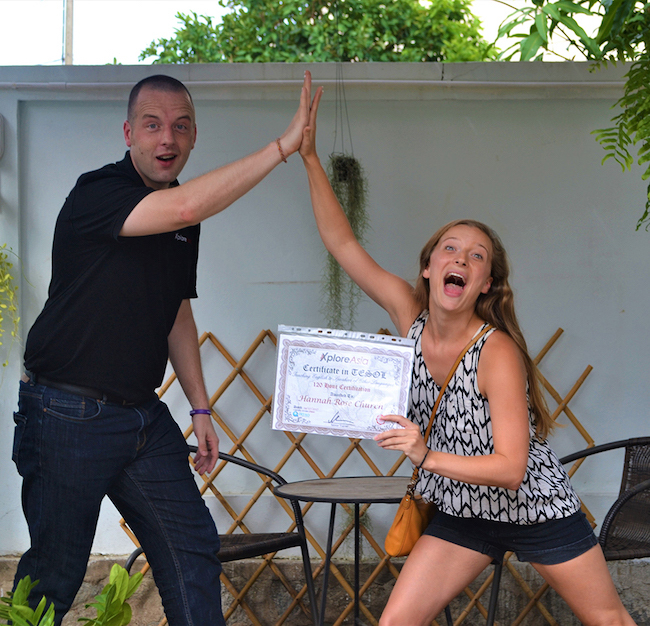 Hannah was happy to receive her TESOL certification from XploreAsia, Hua Hin! Thank you to Hannah for taking the time to answer our questions! 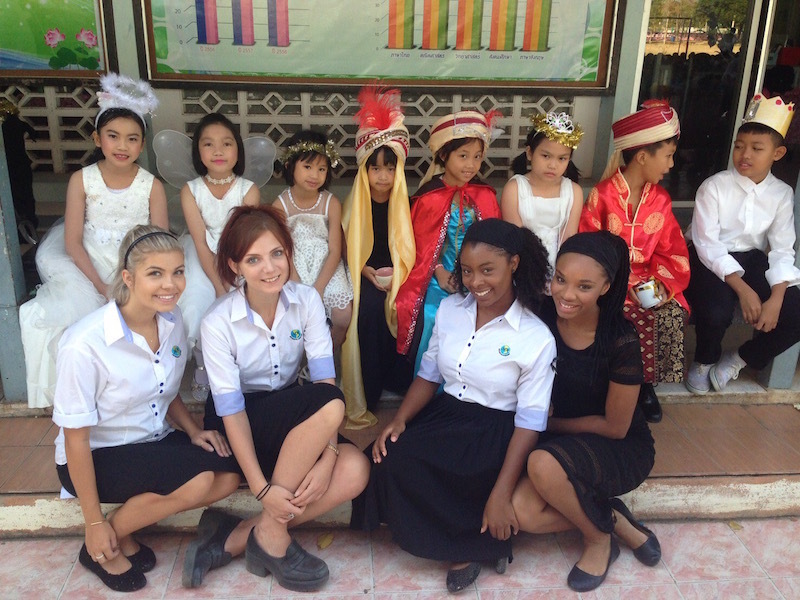 At XploreAsia, we love to hear that our alumni are doing well and embracing life teaching in Thailand. If you’re interested in starting your own adventures in Asia, check out our in-class TESOL courses in Thailand and our brand new course in Vietnam. After several years of traveling for work and constantly being on the move, I finally decided it was time to stay in one place for a while. When deciding what I wanted to do for career, I thought back to what has always sparked my curiosity. 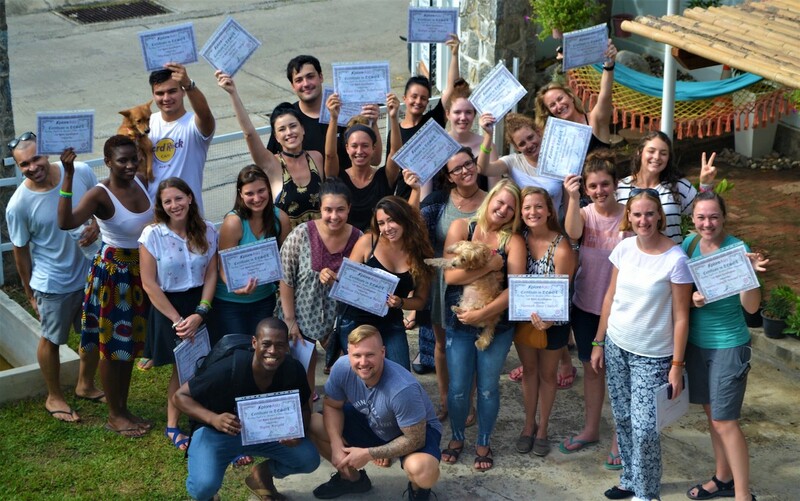 Teaching English abroad is something that I have always been interested in, and now was the time to give it a shot. In 2015, I went home, saved up some money and did some research on how to teach English abroad. Through my research, I found XploreAsia and signed up for my TESOL course. After being granted my certificate, I went on and taught in Tachileik in Myanmar for 6 months. It was an incredible experience that I wish could have lasted longer but unfortunately, I had to get back to Canada for work. In Toronto, I have been working for Shine Dance Competitions for the last 5 years. Shine, is a company that hosts and organizes children’s dance competitions in Southern Ontario and Quebec. Shine is a great company that lets me travel during off seasons to have new experiences (such as teaching English abroad) and then come back to Toronto when the dance season begins. For several years, Shine was planning to offer underprivileged kids an opportunity to access a higher education through online learning. I was absolutely thrilled when they asked me to take charge of this project and I already had my first location in mind! Tachileik is a small but fast paced town in the north of Myanmar with lots of stories to tell. One of the most loving places in town is a small orphanage. Some of the teachers who were teaching before me would go on the weekends and teach the kids English. They invited me along one weekend and I was absolutely moved by the experience. It was my first-time meeting kids in an orphanage and experiencing their way of life. We arrived while the kids were in the middle of mass. Hearing their voices in song was beautiful. They saw us come in and knew it meant it was time for their English lesson. They quickly finished mass and were ready to be taught. Their enthusiasm was infectious. They laughed and shouted throughout the lesson on animals. It was so inspiring to see a young generation so eager to learn. Although, I didn’t make it back to the orphanage as often as I would have liked, I was motivated to bring Shines’ project to these kids. I contacted my friends in Myanmar who were equally as excited by this project. They instantly started researching how to get internet to the orphanage. Our company, Shine Dance Competitions, in partnership with Response I.T., arranged to provide all the computer equipment for the project, among other things, and I started researching how to get the computers to the orphanage. 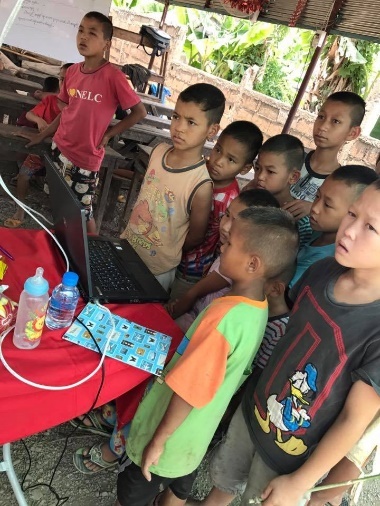 After months of researching different methods to send the computers to Myanmar, I reached out to Mike (XploreAsia’s Managing Director) for help. With some luck, Mike happened to know the easiest route to get computers to Yangon. From Yangon they were then sent on a bus to Tachileik. We are so grateful for the team of people who helped get this project off the ground. Currently, the orphanage has internet access and 2 teachers who go on the weekends to teach the kids how to use the computers. For now, the kids are using websites to improve their English. As the children become more proficient, we will start talking to them about what other topics they are interested in learning. One of the teachers at the orphanage is a native English speaker, and the other is a native Myanmar speaker. This is convenient because when the kids don’t understand the programs on the computer, they can ask in their native language but still have an opportunity to speak English as well. Through many education oriented websites, the kids can learn anything they want. In countries such as Thailand, where these websites are offered in the primary language, the children can start taking any courses they want. However, due to there being less options in Burmese, we encourage the improvement of their English language skills to give them more choices in what they want to learn online. Learning English will also help to create more career opportunities for them in the future. The goal for this project is to let the kids learn new skills to help their community. They can learn anything from Tree Planting, to Rocket Science. We want to encourage these kids to enjoy learning and improve their current living situations. Currently, we are looking to expand the project within South East Asia, targeting a few different countries. Once we have a few solid facilities, we will begin to expand in each country where our project has proved successful. At the moment, we are building a website to promote this project. When we acquire sponsors, we can grow at a quicker rate. Additionally, we also need to find contacts in different countries who can supervise the project for us and who also want to teach English abroad. We will be posting blog updates about how the projects are running and eventually we would like to have the kid’s blogging about their own experiences! If you want to teach English abroad, apply here. If you’re looking to teach abroad, the dynamic Asian country Myanmar can offer something truly unique. 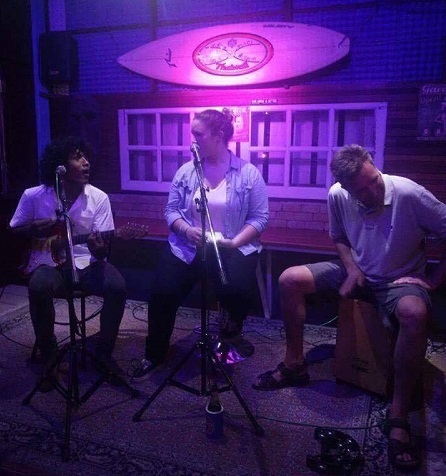 XploreAsia has been sending teachers to Myanmar for the past couple of years and we recently caught up with one of our graduated TESOL course students Kai Hallberg to talk about his adventures in the country’s former capital Yangon. Hi Kai. After finding out about XploreAsia, what made you decide that Myanmar was the right place for you to go teach? I had my heart set on Myanmar for a number of reasons. Mainly, I knew it would be an interesting time in history to come, and I wanted to experience the rapid social/economic/cultural changes that are occurring here. I wanted to explore a new place where the culture and society would be far removed from what I am used to. When I arrived in Yangon, I found that the city is stuck in the past in some ways but leaping into the future in others. This juxtaposition seems to apply to everything. Fashion, transportation, music, technology, infrastructure, you name it. 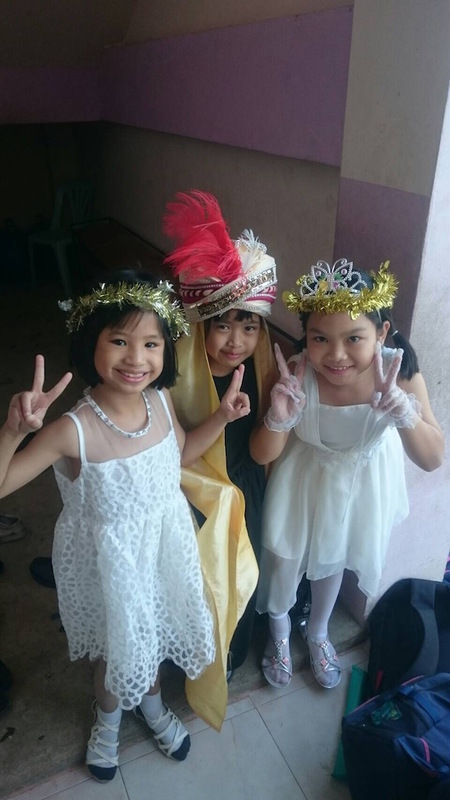 What have been the highlights of your experience teaching in Yangon? The staff and teachers at my school really helped make it a great experience. They were kind, welcoming, and supportive from the very start. Some of the best times for me were with my adult classes. I really enjoyed our conversations about how things are changing in Myanmar, and what young people care about/are concerned about here. Another highlight for me was morning assembly time with the preschool. It’s too cute watching a bunch of 4 to 5-year-olds try to stay still for 5 minutes during “meditation time”. What does a typical day as a teacher in Myanmar look like? I started work 9:00 am and I would usually grab breakfast at a nearby tea shop on the way. The day ended at 5pm, but my schedule changed based on the time of year. For the first several months, I spent the morning with the preschool, which usually consisted of a morning duty (e.g. gate duty or assembly duty), followed by an hour of lesson time. After lunch, I taught two adult classes: one at Aung Tha Pyay, and the other at NELC. During this period, I had some downtime between classes to plan lessons. My schedule during summer school (March to May) was very different. These three months busier as my school was flooded with young-learners from government schools. I had 5 or six almost back-to-back classes every day and it was definitely my most challenging period as a teacher. During this time, lesson planning had to be done outside of work hours as I had many more classes to teach. What do you do in your free time here in Myanmar? Eat, play soccer, go drinking, watch movies; pretty much what I would do anywhere else. I also travel outside of the city as often as possible to see more of the country. What would you say to people who are looking to teach abroad and are considering Myanmar? Do it. But if you come, you have to learn how to roll with the punches. One piece of advice given to me during my orientation week has particularly stayed with me: “things aren’t always as they seem.” There will be miscommunication, mistakes, and stressful times, for sure. However, if you learn to be flexible, understanding, and patient, I promise the experience of being here in Myanmar is well worth it. Check out our website to find out more about teaching in Myanmar. If you’re looking to teach abroad, find out more about our internationally accredited TESOL course and the other locations you could be heading over to soon with XploreAsia. 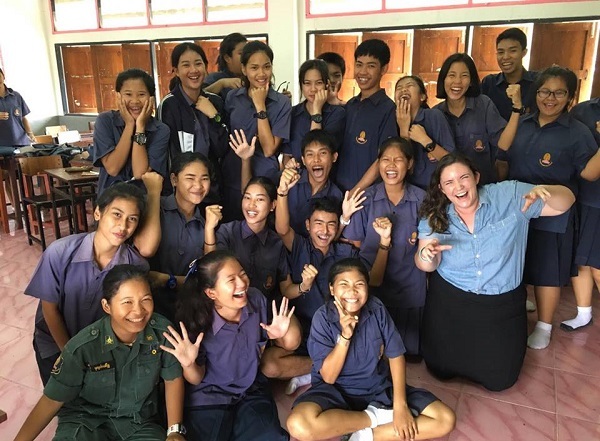 Former XploreAsia participant, program coordinator and current teacher Simone Salerno describes her experience moving into her placement town, in Northern Thailand. Settling in to your new home and adapting to life in a new town can be a challenging experience but one full of opportunities to grow and become part of a community. I share my shower with about five spiders. I say “about five” because one of the spiders is a master at hide and seek. The spiders really used to freak me out. I’ll never forget my first shower experience in my teaching town. I was in the midst of shampooing my hair, when I turned around, opened my eyes, and saw a huge, spindly spider staring back at me. Let’s just say that shower ended quickly and I never finished washing my hair that day. Over time the spiders and I reached an agreement. They ate the unfriendly bugs, and I left them alone. I never thought I’d share a shower with spiders, especially spiders as big as my palm, yet here I am. You may be sitting in your seat, shuddering to yourself and thinking, “NOPE! That will NEVER be me…” Well friend, allow me let you in on a little secret; living abroad has a beautiful way of changing the rules you live your life by. Before moving to Thailand, I had set a strict list of rules for myself. 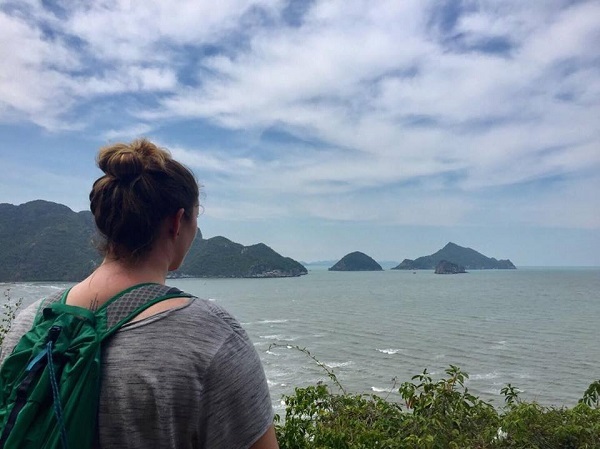 After everyone had shared their extensive “Do’s and Don’ts” for traveling, along with their personal horror stories, I thought I knew what I could and could not do in Thailand. Based on their stories and advice, I could not… ride a motor scooter, walk around at night by myself, walk around during the day by myself, walk around at all by myself, eat ANYTHING that I couldn’t peel myself, eat anything I couldn’t see prepared, eat anything that didn’t come out of a pre-packaged container, go ANYWHERE that was a malaria zone, go into the ocean alone, go into the ocean at all…. And the list went on. I’m sure in reading that list, you can remember being told at least one of those “precautionary” bits of advice. It’s hard for me to look back now and see how rigid I was about traveling to a new country; and how if I would have followed those rules at all times, I would never have truly experienced the country I have grown to love. Living abroad has an incredible way of helping you understand preconceived notions are just unnecessary limits; created out of fear before having enough evidence to know if what you believe is true or even useful. You can’t live your life on preconceived notions. Prejudging a whole country based on advice from a few weary travelers was the biggest mistake I made before embarking on my adventure. It only took a short time after arriving in Thailand to realize how off my judgments were, and how quickly I would change my set of “strict” rules. Within a day of arriving in Hua Hin, I was already eating fresh cut fruit from a local fruit stand, swimming in the ocean, enjoying fresh Pad Thai on the side of the street, and walking around alone to explore new places. Putting an end to my preconceived notions is the best choice I have made in my travels. After living in Thailand for many months, I can say that I really enjoy 7/11 sushi (don’t knock it until you try it), sharing my home with a few lizard roommates is actually a plus, the best fresh fruit comes from a stand, a freezing cold shower is actually something to look forward to, strangers can easily become family, and every situation has a silver lining. Don’t let precautionary tales of travel keep you away from living abroad. “If you listen to people, and if you allow people to project their fears onto you, you’ll never live” (Taraji P. Henson). If I had listened to everyone who told me no, in some form or another, I never would have truly experienced the place I now call home. 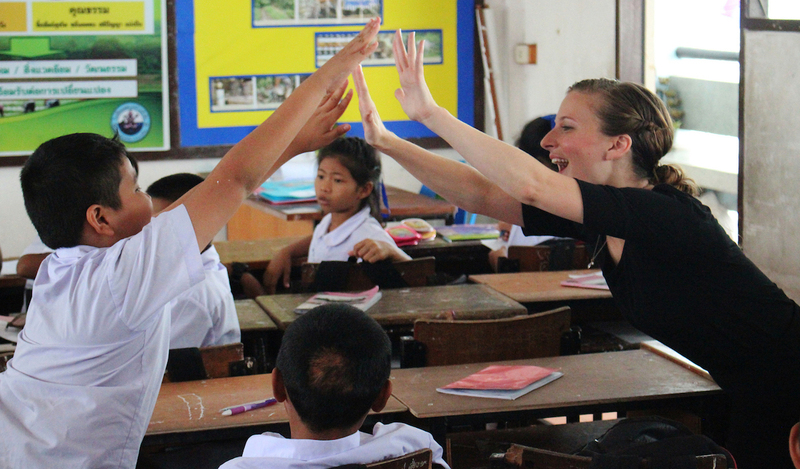 We caught up with Rachel and Amy, two of our teachers currently working in Myanmar. 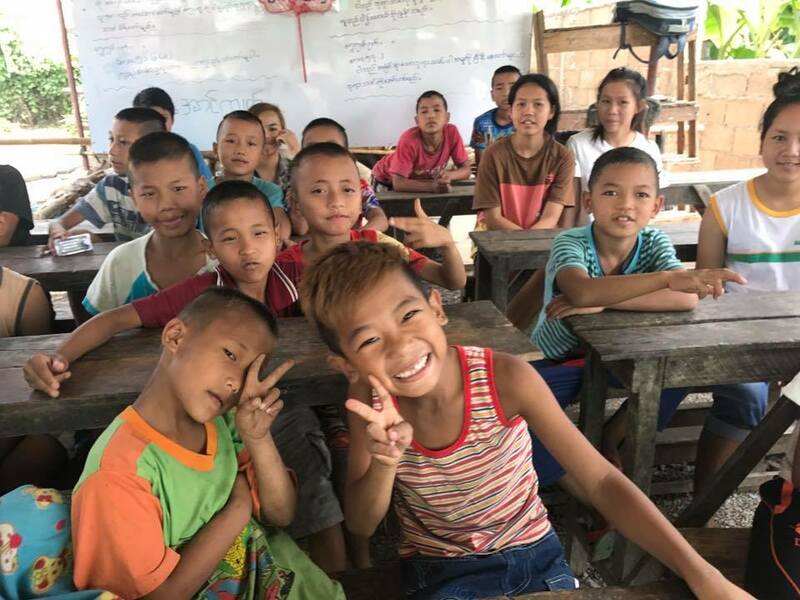 They share their experiences of living, working and teaching in Myanmar, sharing their advice and answering questions you might have about teaching opportunities in Myanmar. How did you find out about the program and what made you decide that Myanmar was the right place for you to go teach? I was initially attracted to Myanmar as a place to experience a culture that was relatively untouched by Western influences. After some research, I found a program that taught the TESOL course and paired teachers with schools in Myanmar. In which city did you teach? 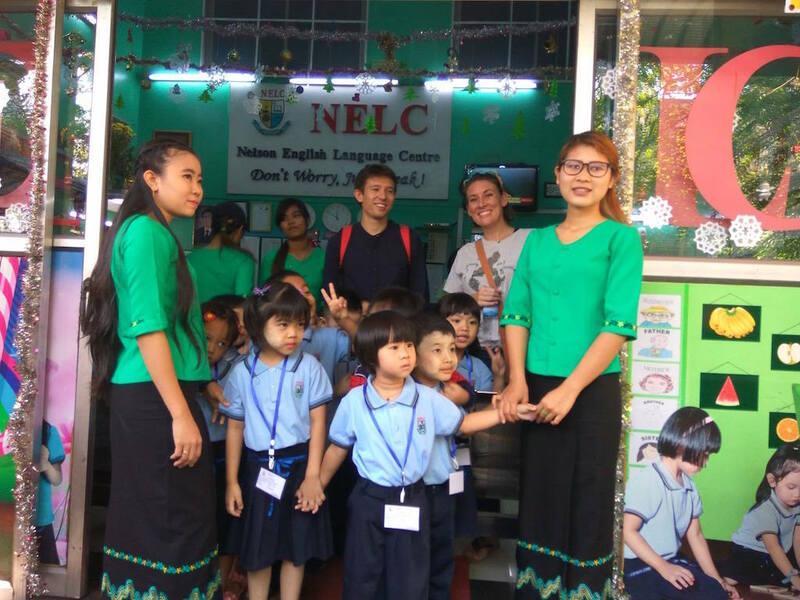 After completing the TESOL course in Yangon, I was placed at the Nelson International Education Center in Tachileik, Myanmar. Tachileik is a border town near the northern most point of Thailand in Shan State, Eastern Myanmar. For those who are interested in a completely immersive experience, Tachileik is the place for you. With a population of roughly 55,000, I was 1 of 10 foreigners. Almost no one speaks English in Tachileik besides those connected with the school and the only “comforts” of home are a semi-westernized coffee shop and a few restaurants with picture menus. This all makes for an intense, but fascinating learning experience. As a teacher, a van would pick me and my fellow teachers up at around 8 am, and we would leave school around 5 pm. I was responsible for a group of students between the ages of 11-15 with almost no English experience. I taught them English and Math and did not follow a set curriculum. My single focus was to build up their confidence levels to be comfortable speaking in conversational English. While this is a generalization, I would say that students in Myanmar are among the best in the world in terms of their respect for teachers and willingness to learn. I was warned that I had some “trouble-makers” in my class, but every student I had was unbelievably sweet and unique. What have been the highlights of your experience teaching in Tachileik? Observing the rapid changes in each students English ability was pretty amazing. NIEC Tachileik has only been open for a few years, but many students are already passably fluent. As a native English speaker, you will be frequently asked to take control of situations even if you are new and unsure of yourself. 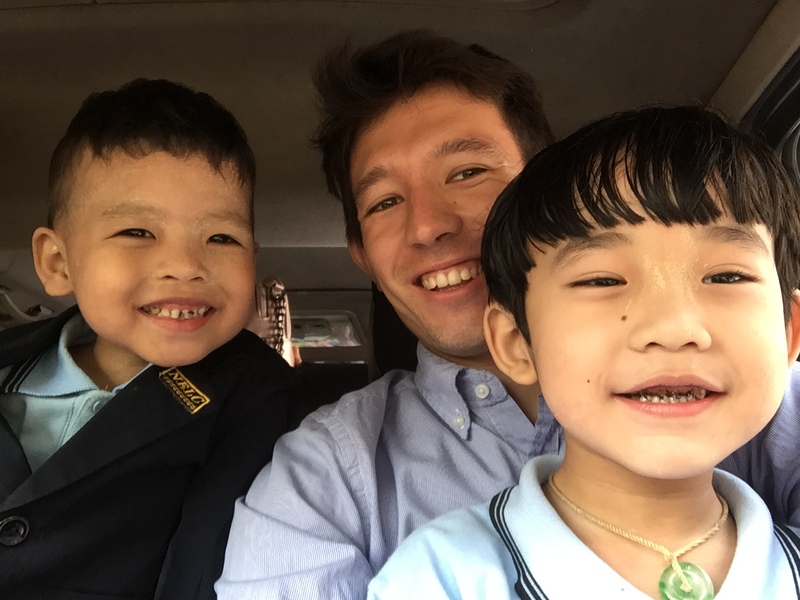 Besides wanting to travel, I came to Myanmar to test out teaching as a profession. I really fell in love with teaching here, and I am now back in Chicago pursuing a degree in secondary education. This was definitely a great experience to get my feet wet in the profession, and to meet a lot of incredible people in the process. What do you do in your free time in or outside of Tachileik? When I wasn’t teaching, I spent a lot of time reading, wandering the streets, eating tea leaf salad, and wrangling feral cats. I also spent time perfecting my Burmese with phrases like “Don’t put peanuts in that” and “One fried rice to-go, thanks.” I also went to Bangkok every 70 days to renew my business visa. Is there anything that you would like to tell prospective teachers thinking of coming over? My advice to prospective teachers would be to have an open mind about trying new things, to not take yourself too seriously, and to just go for it! I found out about the program through Greenheart Travel. 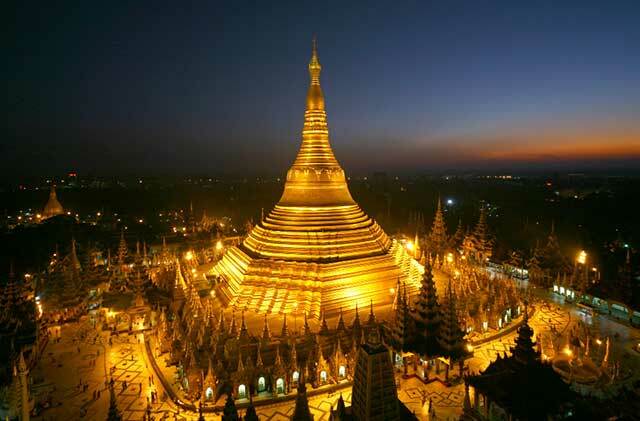 I decided to choose Myanmar because its a fascinating country and is undergoing interesting times. When I was an undergrad, I had the opportunity to some research projects about the country and the region, and from then on, I knew I wanted to go there at some point in time to experience and witness the changes. Also the fact that the program offered the TESOL certification courses and also job placement afterwards was a plus. I was actually selected to join Peace Corps to volunteer in Eastern Europe, but opted for this program because I wanted to go to Myanmar. Though I’m an American, by roots, my parents are from Southeast Asia and going to Myanmar was my calling. What made you decide that Myanmar was the right place for you to go teach? I decided to choose Myanmar because its a fascinating country and is undergoing interesting times. When I was an undergrad, I had the opportunity to some research projects about the country and the region, and from then on, I knew I wanted to go there at some point in time to experience and witness the changes. Also the fact that the program offered the TESOL certification courses and also job placement afterwards was a plus. I was actually selected to join Peace Corps to volunteer in Eastern Europe, but opted for this program because I wanted to go to Myanmar. Though I’m an American, by roots, my parents are from Southeast Asia and going to Myanmar was my calling. A typical day as a teacher in Myanmar, well, my experience was a little different compared to my cohorts. I had the opportunity to teach in Lashio for one month, and then in Pyin Oo Lwin for about four months. In terms of the daily routines as a teacher, I taught a wide range of students, from pre-schoolers, teens and adults. It’s quite a unique teaching experience to have such a wide range of different age groups to teach. In Lashio, things were a little more convenient because I actually lived at the school, so transportation was not an issue. Maybe because I have an easy going personality, the accommodation was fine to me. I had blocked schedule and breaks in between lessons, so that was nice. The school’s staff and local teachers are phenomenal and always willing to help. They literally fed me everyday with delicious home-cooked Myanmar food. In the morning, I would go to the playground and play with the pre-school kids, during my breaks I would do a run-through with my lessons before I teach, then there’s grading papers/workbooks, and then plan for the next day or week ahead. In Pyin Oo Lwin, I lived with a family, but had a separate section of the house to myself. I would ride a bicycle that the school provided from my house to school every morning. Depending on the route I took, it would take me 15-20 minutes to get to school. The routine is similar to the Lashio school, just the living accommodation was different and I needed a form of transportation to get to school. How would you describe Lashio? Lashio is literally like a city in the clouds. You’re so high up in the mountains. Every morning, I would wake up around 5am just to see the sunrise, the clouds rolling and the fog carving around the tall mountains. It’s breathtaking. Lashio is located close to China, so you get a lot of great Chinese influences in the cuisines. There are plenty of pagodas to visit, the famous large market and also the local hot spring. Transportation, the form of taxis you’ll have access to are tri-wheeled motorbikes (kind of like Thailand’s tuk-tuk). Pyin Oo Lwin is a nice quaint town. It has an interesting history, being the summer capital during the colonial period when the British colonized Burma, so you can see a lot of the old British (Tudor style) houses and buildings scattered around town. Transportation, you have the option of motorbike taxis or horse carriages. It’s a beautiful town where east meets west, but in terms of centuries ago. You won’t get many western amenities here like you would in Yangon. This town is famous for its botanical garden and also its damson wine. Oh! And for coffee lovers, there’s great coffee here. What do you do in your free time in or outside of Lashio? In Lashio, I think my short time-frame there was somewhat of a blessing. During my free time, I’d workout (sometime running back and forth on the school’s roof) or go hiking up to the 2500 year old pagoda trail (taking the steps route or the dirt route). I was able to persuade some of the school’s staff and teachers to join me. On occasions, the local teachers would invite me to go to the market with them or they’d take to visit a pagoda. I’ve literally paid my respects to all the pagodas in Lashio. I only did the hot spring once. It rained a lot during the month I was there in Lashio. I think the icing on the cake of the experience was when I was invited for lunch to one of the local teacher’s family’s home. 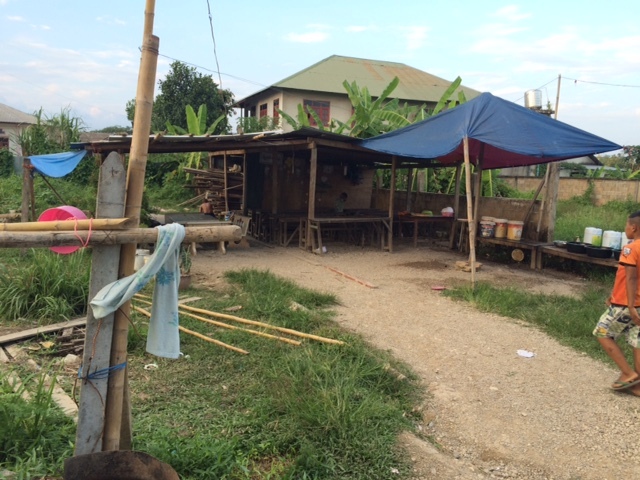 It was my first time ever being in a local Myanmar home and to see how they lived modestly and such. The entire experience went by fast and definitely learned to make the most of everyday. In Pyin Oo Lwin, during my free time, typically, I just ride my bicycle around town and grab lunch or coffee with some of the school’s staff. On my days off, I would sometime volunteer at the nunnery to teach English or help with art and crafts activities. Sometimes, the school staffs would take me to visit pagodas or go to Ruby Mart (it’s the only supermarket in town that’s fairly new). I’ve had the chance to watch some Myanmar films at the theater there, pretty interesting experience and I highly recommend it! There are also some good hiking trails out there. I haven’t done the popular one where you can hike to a waterfall yet, but I heard that one is well worth it. There are two famous caves with pagodas there too. In terms of doing the more touristy experience, I’ve been fortunate to go on trips with the schools that I’ve taught at. The school staffs pretty much organize the trips and I just tag along. 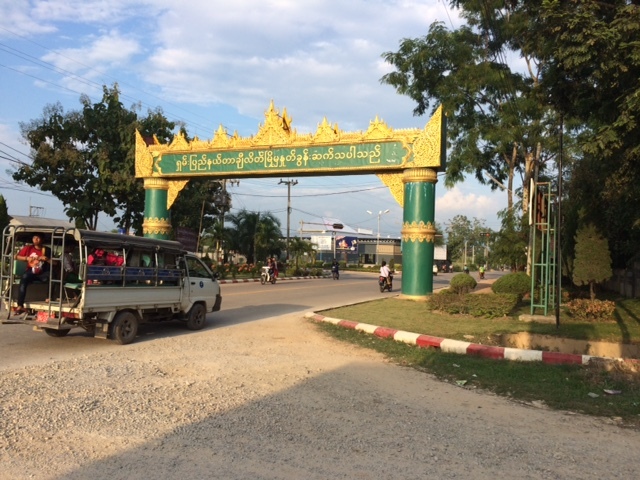 So far, I’ve been to Mandalay, Monywar, Sagaing, Goteik Bridge, Bagan and Yangon. Most of these trips entail paying homage to pagodas. I also enjoy ancient architecture and how beautifully Myanmar has been able to preserve its traditions and culture, so it’s great being able to witness it. 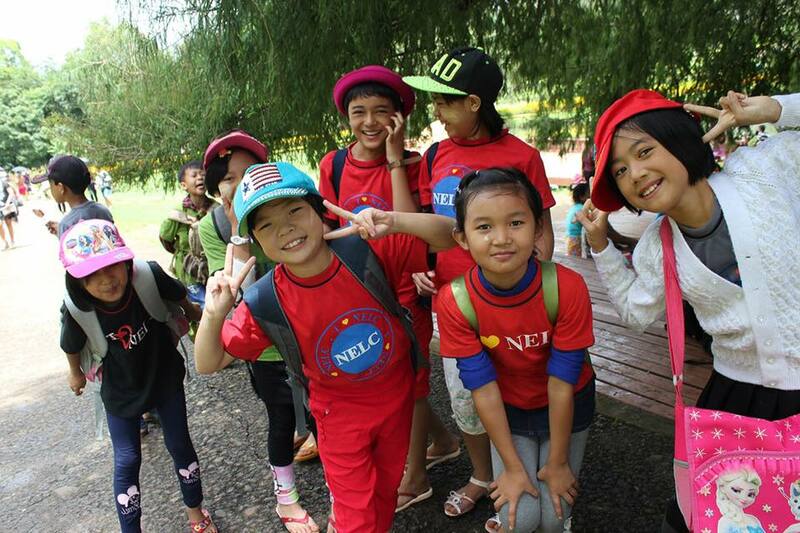 What have been the highlights of your experience teaching in Lashio? 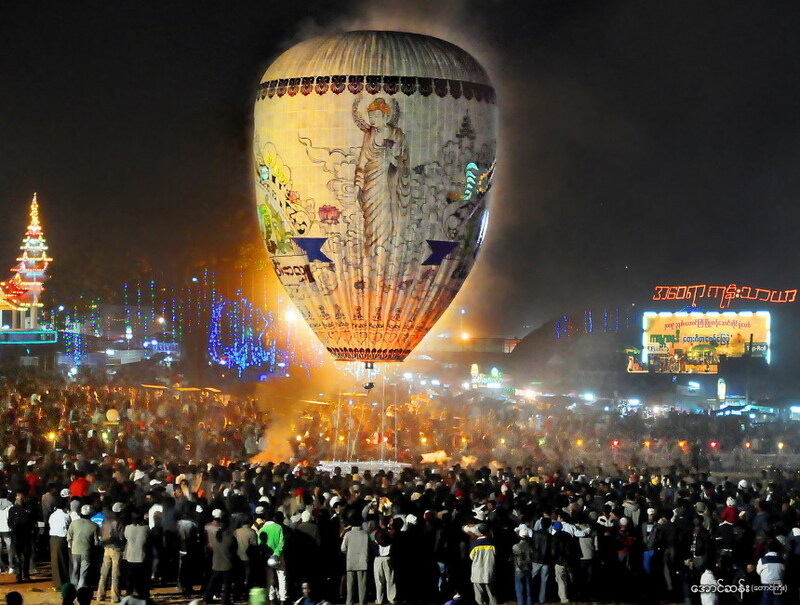 For both Lashio and Pyin Oo Lwin, the highlights would be to be able to experience life at the local level and immersing oneslef in the customs and culture. Be open minded, flexible and willing to help/learn. 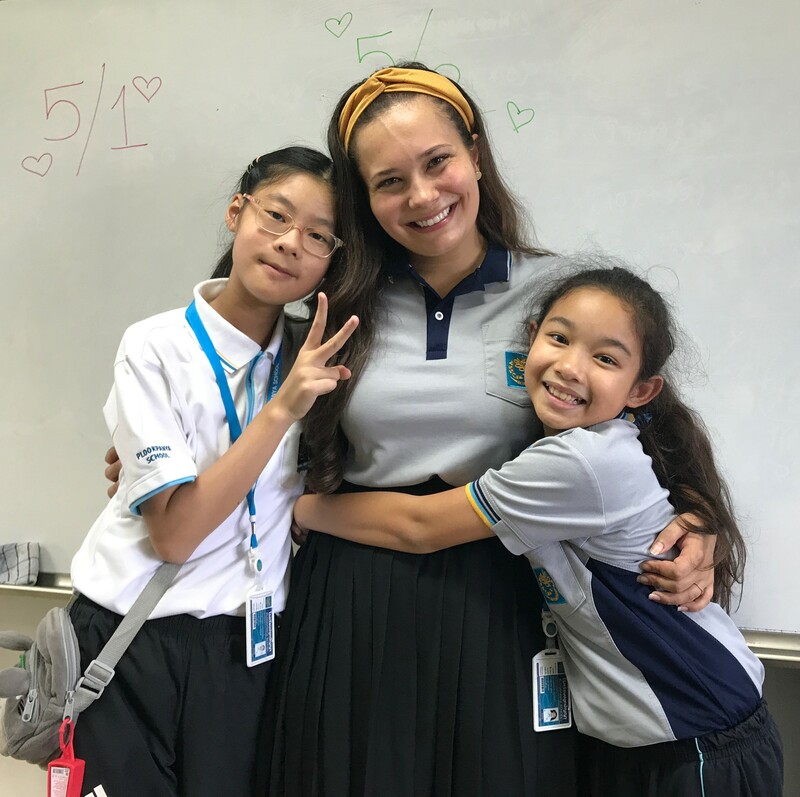 Thank you Rachel and Amy for sharing your amazing experiences teaching in Myanmar and sharing your wonderful experiences with the XploreAsia family. 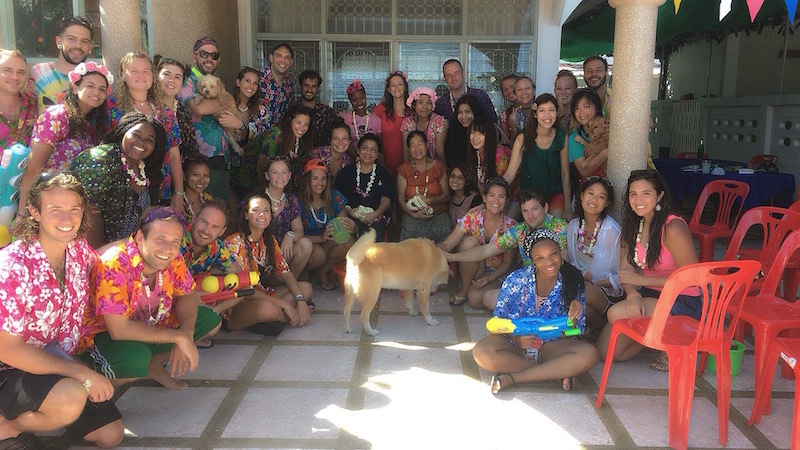 Read more about teaching abroad in our blog posts and teaching programs! Have you ever considered a different career path? Always wanted to do something that gives your job a meaning, a sense of adventure and freedom at the same time? One of our alumni, Shanoira, had the exact same thoughts! 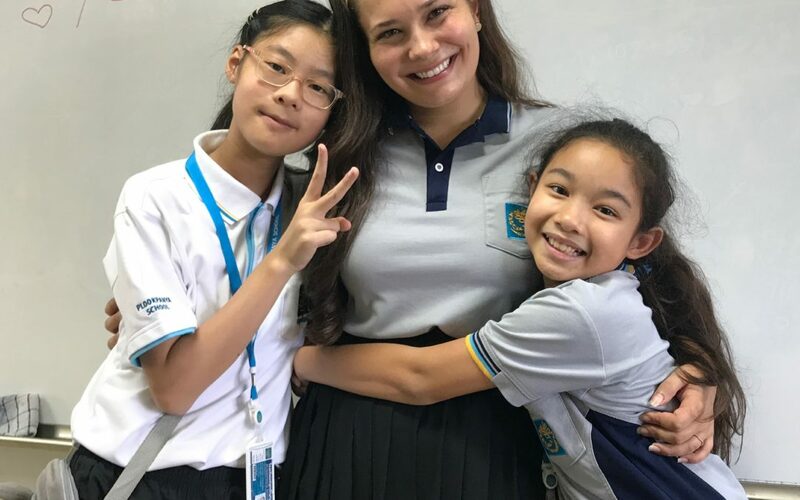 Read her encouraging and heart warming story of her adventures and experiences teaching English in Thailand. I have been in Thailand for about 7 months now and if you’re reading this, then you are probably interested in teaching abroad. You might be wondering what it is like and if it’s something you can really do. Well, no need to fear! I will let you in on everything there is to know about life in Thailand. So first off, the hardest part is taking a leap of faith and truly committing to coming to Thailand! At one point, Thailand was just a dream. I was reading blogs but I didn’t have an active plan to move to Thailand. Then one day as I sat at my office desk (hating my job), staring at a picture of Loi Krathong, I thought, “What am I waiting for?”. That night I filled out an application which led me to Thailand. So if this is something that has been on your mind for awhile: DO IT! In life you only regret the chances you did not take. In order to teach in most Asian countries, having a TESOL or TEFL certificate furthers your chances of getting hired as well as getting better pay (especially if you do not have a degree). I decided to get my TESOL certification with XploreAsia. XploreAsia is a well-run organization that has taught me in a short amount of time (3 weeks) to be a well-equipped teacher. For people who have never taught before or people who are new to a foreign country, I highly recommend going through a program like XploreAsia. In my view, not doing so would’ve been like jumping into the deep end of a pool and not knowing how to swim. Their are numerous benefits to this program, such as you will instantly have a network of friends that can help you if you ever have a question about anything: visa runs, lesson plans, places to visit, etc. Also they will be living all over the country, so if you ever want to travel anywhere in Thailand you have a place to crash. 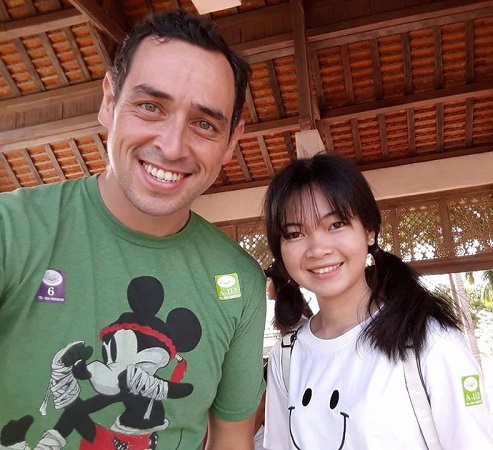 When it comes to XploreAsia, they provided me with Thai lessons, cultural lessons, and fun excursions, all on top of the intensive training to be an ESL teacher. They set up my bank account, found me a job, and even helped me arrange transportation to my new town. I would never in a millions years have been able to do any of those things without the guidance of XploreAsia. Honestly, XploreAsia? You da bomb. TESOL graduation in Chiang Mai with Benz, XploreAsia Senior Placement Co-ordinator. 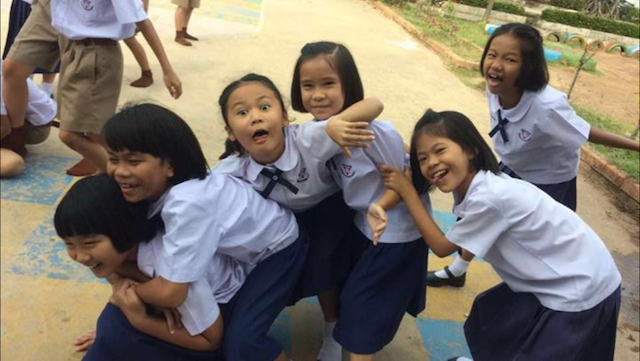 If you’re like me, you may have visions of these well-mannered Thai children eager to learn English, engaged in all your activities, and hanging on to your every word because you’re that awesome of a teacher. Well, it’s about time to wake up because all that, simply put, is a dream, not a reality. My students are hyper and talkative; there have been many times that they couldn’t care less that I want to teach them English. When I just began teaching, I wanted to rip my hair out of my head because I couldn’t get them to stay quiet, nor could I hold their focus for longer than 30 seconds. However, please don’t let these things scare you! I honestly love being a teacher and I have never felt more fulfilled from a job in my entire life. Once I mastered classroom management and became inventive with the activities I used in class, this satisfaction from my job only increased. Every day (well, maybe not every day, but most of the days I’ve had teaching), I knew my students left class and learned new words or concepts. I’ve realized that English is a crucial skill to have, and the ability to speak and understand the language really does provide new opportunities to students for their futures. By being a good teacher, I’ve aided in their English knowledge and that makes me super happy. Also, just so you know, Thailand schools tend to function by disorganized chaos. Classes get cancelled or moved around all the time. The students are constantly missing class since they are studying for some big Thai test that you know nothing about or it’s sport week, which is treated like the mini Olympics. You just have to learn quickly to go with the flow and your life will be so much easier. Do not get worked up when things do not go as planned because believe me – they won’t go to plan. When kids do behave, they are adorable and all the misbehaving is forgotten. As a foreigner with braids in my hair, I sometimes feel like a painting in an art gallery. 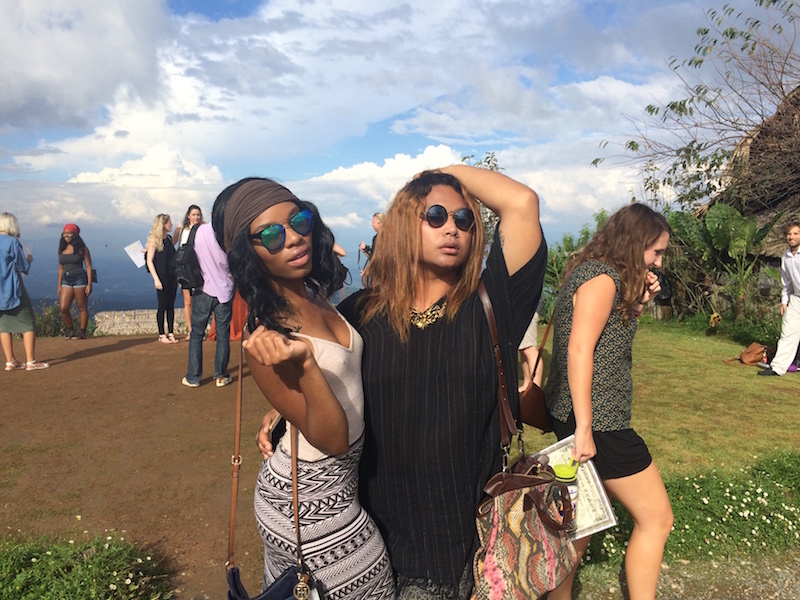 Thai people will stare at me, whisper to their friends, and some even pull out their phones to snap a picture. One thing you’ll have to get use to is the amount of stares you will encounter being a foreigner in Thailand. We look different, and we act different, and especially in smaller towns, you can stand out like a sore thumb. At times, it can be annoying when all you want to do is eat dinner at the market but everyone has stopped what they are doing and are intently staring at you. But in time, this becomes normal, and you’ll instead feel odd when you go to places like Bangkok and no one cares that you are not Thai. I got my placement in the Chaiyapum province which is located in Isaan. I am approximately 6 hours north of Bangkok. If you have ever visited Thailand, there is a 99% chance that you have never visited my town. Google has stated that less than 1% of tourists pass through Chaiyaphum each year. To be honest, I wouldn’t have it any other way. It is a fantastic little town, and it has truly become my home away from home. Some of the things I enjoy doing in Chaiyapum include eating breakfast by the lake, hanging out at the one bar, checking out the markets, and going for a swim at one of the local resort’s outdoor pool. However, I also love going for rides to one of the highest viewpoints in the province (like on the picture below) and just relaxing; we’ll check out the waterfalls and visit the stone hedges. Chaiyapum is a cute little town, and I have honestly met some of the most amazing people there. Thailand is not really big on kitchens. Therefore, most apartments are “dorm styled” and are big enough for only one person. However, you will never hear me complain about this because the rent here is BEYOND cheap! I live by a lake in a quiet part of town next door to mansions that the house governor generals inhabit, and I still only pay 3500 baht a month in rent (Approx $120 CDN). And this also includes Wi-Fi! I am from Toronto, and I pay more rent living with my mom there than I do here for my own spot. I also love being the queen of my castle and being able to decorate my place how I wish to, clean my apartment when I want to, and come in and out as I please without having to talk to anyone. You really can’t put a price on freedom. When you are new to Thailand and you don’t speak the language, ordering food can be a pain, especially if you have dietary restrictions. I don’t have any dietary restrictions, and it was still stressful to figure out how to order food when I first got here. You will go to a restaurant and the menu will be in Thai, so you’re pretty much playing Russian roulette by ordering something based on the picture or the one with the minimal Thai words that you’ve recently learned. You will hope it will be delicious or at least edible, and sometimes when I did do this, the food was amazing. Other times, I didn’t get so lucky. Western food is a lot more expensive in Thailand, but it is still a nice treat once in a while. Thailand food selection was something I had to adjust to a lot! 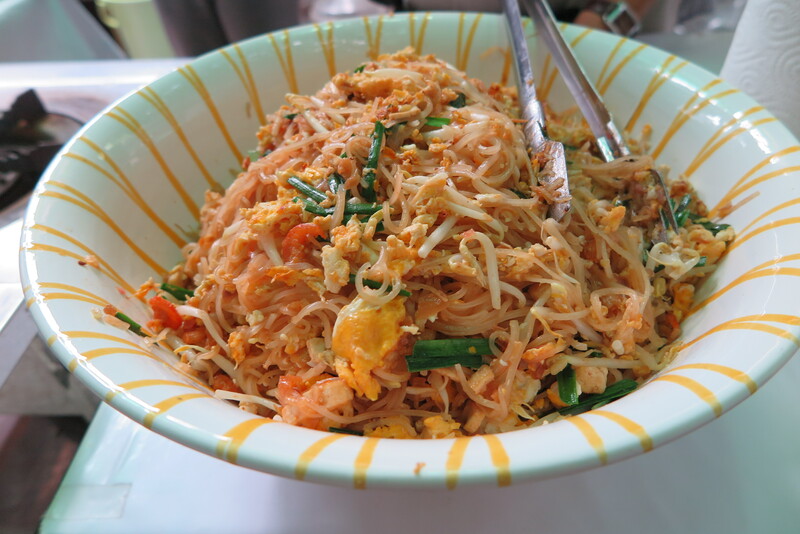 In Canada I did not eat much Thai food besides the occasional Pad Thai, so everything here in Thailand was very new to me. 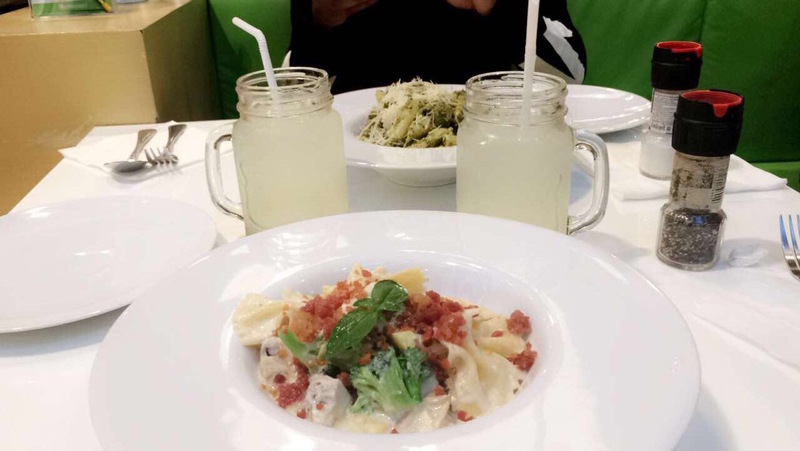 At first, I was very reluctant to try new cuisines because at times I can be very picky about food. Also, Thai people love spice, and I hate it. It was definitely a sharp learning curve for me, getting to know all the Thai cuisines, but now there are so many new dishes I love. Another thing: Thai people also LOVE sugar so if you’re like me and thought you would get to Thailand and lose weight without dieting or exercising, then give up the dream now. It might not be like that. Thailand’s transportation is generally super easy and convenient. There is a train or bus that can get you to anywhere in Thailand for very cheap. If you are ever in Bangkok, the BTS system is years ahead of any transportation in Canada, and I love transportation here. It’s very easy to get around in Thailand, so if that was ever a stress of yours, I hope I put that to rest. I should note that I have never ridden a motorbike before and neither do I have my driver’s license back home in Canada. However, getting a bike seemed like the most logical thing to do once I got to Thailand, so I got one. Getting a motorbike is super easy: all you need is a passport, cash and *boom* you can rent a bike virtually anywhere! I rented my bike for approximately $60 (Canadian dollars) a month and gas ran me around $4 a week. So overall, it is super affordable and easy to get a bike in Thailand, and remember to be safe (i.e wearing your helmet, not drinking and driving)! Navigating the streets of Thailand is really not a problem, except for in Bangkok. Driving in that city would be pure chaos. Just take the transit system there! There is such a difference between reading about Thailand and actually living in Thailand. Facebook and Instagram can be super deceiving. You see posts of your friends feeding elephants, and drinking Pina Colada on the beach and you think, “Wow everyday in Thailand must be like paradise.” To an extent, living in Thailand is its own form of paradise, but people also forget that Thailand is a big country filled with more than just elephants and beaches. If you are coming to Thailand to teach English, you might be placed somewhere in the middle of the country, not just at the beach. The best advice I can give to you is to be open-minded and to embrace the cultural experience you will undoubtedly have. There are plenty of opportunities to travel (like long weekends or school breaks). So don’t think you have to be on an island teaching in order to enjoy Thailand. Living abroad can get lonely and culture shock can be significant and real. But believe me, the pros will outweigh the cons, and you will get over culture shock no matter how bad it gets! This is a once-in-a-lifetime experience, and when you embrace the good and the bad, you will reflect on this experience later in life, and you will be more than glad that you did it. So now that you know everything there is to know about my life in Thailand. What are you waiting for? Book your flight now! You can also check out Shanoira’s Youtube channel where you can have a more detailed overview of her adventures in Thailand and additional tips for teaching english in abroad. If you have any other questions, feel free to contact us in XploreAsia, we would love to hear from you! 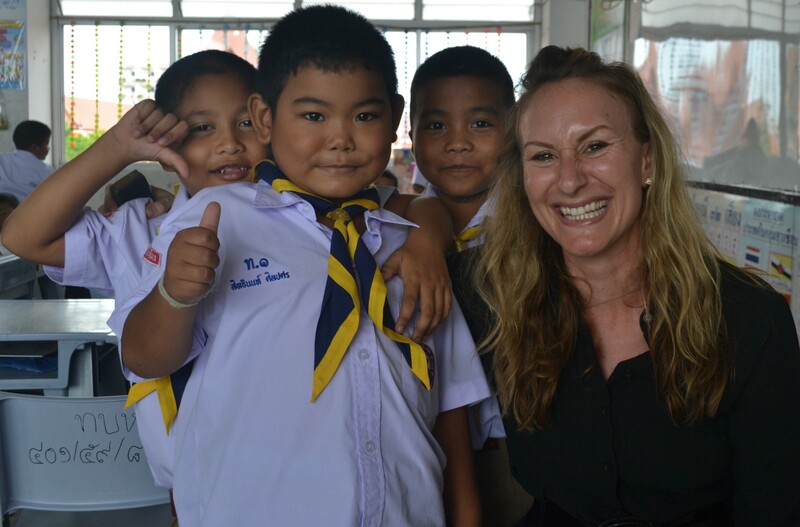 Teaching in Thailand is truly a life-changing experience that could shape and inspire you in so many ways. 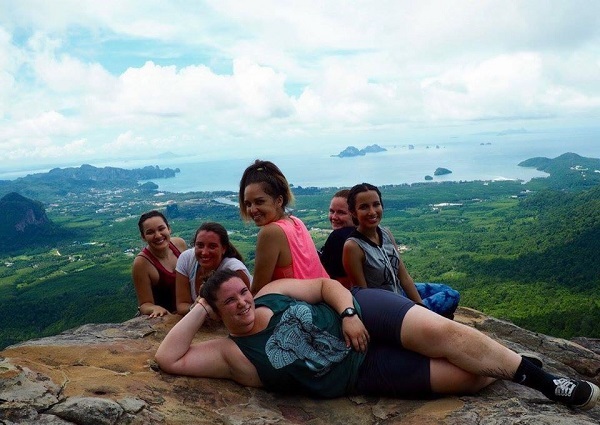 We love to hear stories from our participants: everything from why they chose to come to Thailand, their favourite teaching memories, their daily challenges and joys, and how the experience has changed their lives. 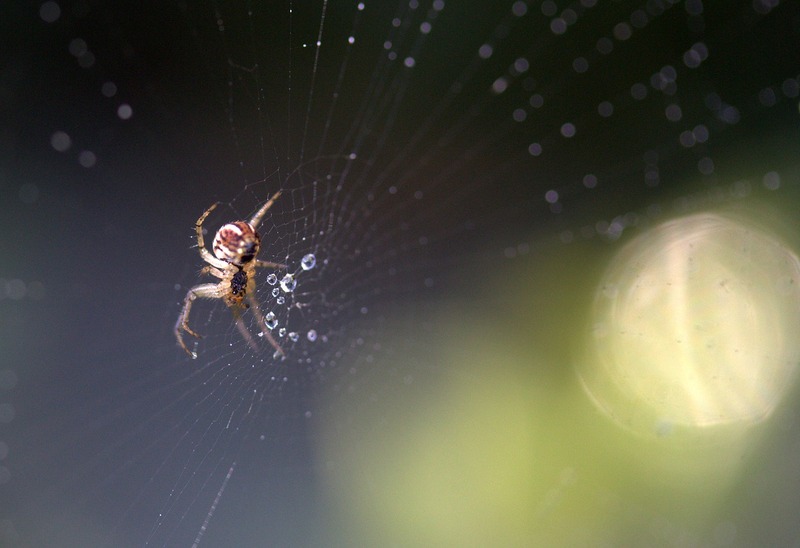 Making a living can sometimes feel separate from taking advantage of all life has to offer. It can be difficult to find balance and fulfillment within a career path itself, and often, we find that this search for passion-driven work is exactly what draws our wonderful participants to come teach abroad. The lessons that are learned both in and out of the classroom, for the teacher and the students alike, hold incredible value. As a teacher, you not only make a difference in the lives of your students and your community, but you also discover your own unique set of skills and strengths that you’ll carry with you for life. We had the wonderful opportunity to talk with one of our incredible participants Jessica Melton. 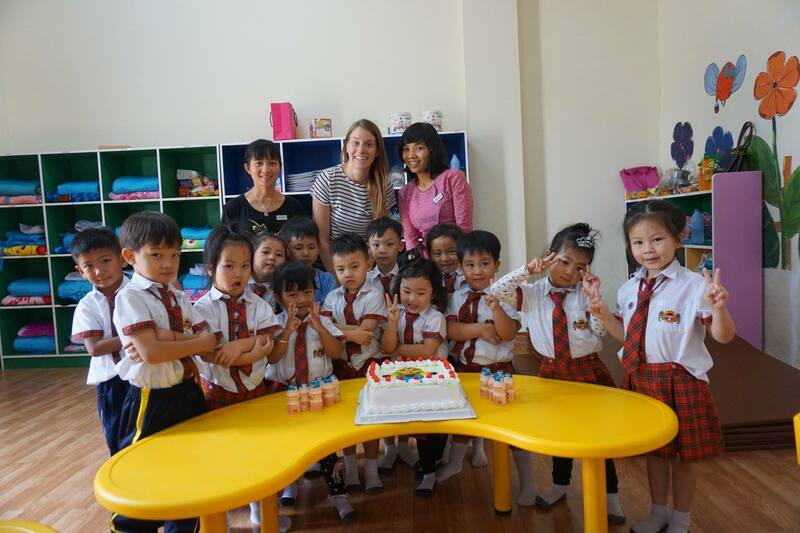 Jessica taught for one year in Pranburi and is now returning to Thailand to teach at a larger school in Chonburi. 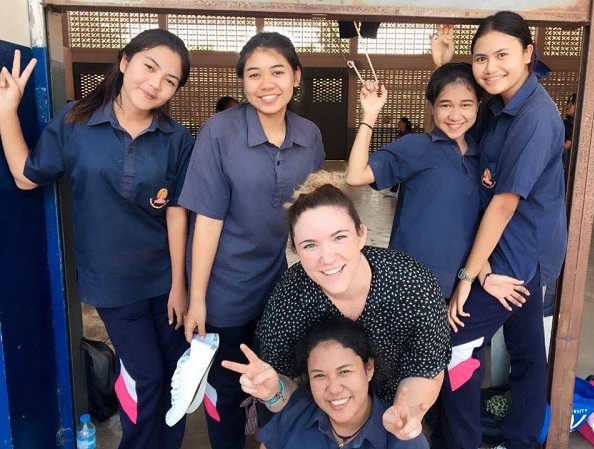 Here, she reflects upon her experiences in Pranburi and how teaching in Thailand has influenced her career path. Where in Thailand did you teach? I taught for one year at TreamudomSuksaPattanakarn School in a small town 30 minutes south of Hua Hin, named Pranburi. The school has about 1,200 students. What grades did you teach & how many students did you have? I taught Matthayom 2, 3, 4, 5 and 6 and I had a little over 500 students. Most of my students were between 12-18 years old. What are some of your memorable teaching moments? Sometimes as a teacher, it is difficult to know how much information your students actually retain from your lessons. At the end of the school year, I was curious to see how much information my students truly understood. To test them for their final exam, I decided to assign them a group video project. There were about 5 students in each group and the only directions I gave them was that each student must choose an emotion to act out throughout their whole video. I gave them 2 class periods to work on creating and editing their scripts with my help. I was so impressed by how much effort they put into making these videos, how they incorporated my teaching material in their storylines, and how hard they made me laugh. I started crying out of happiness, and I felt a huge sense of fulfillment.The videos ranged from remakes of “Miss Universe” to “I Can See Your Voice” that include dialogue about fashion, exercise, directions, music, and various other topics. There are also all the small moments that I look forward to each day. Whenever my students walk into class I play music that we can all dance or sing to. Before class starts we have a dance party, or a singing session, or I have them show me the latest Thai dance trends, and I reciprocate by attempting to show the latest American dance trends. Usually when I’m finishing up my class, we try to talk about our lives outside of school. For me, it is important find every way I can to relate to my students in order to give them motivation to communicate with me. Before and after class is where the real cultural exchange happens. Looking forward to those small moments is a big reason why I am excited to go to work in the morning. 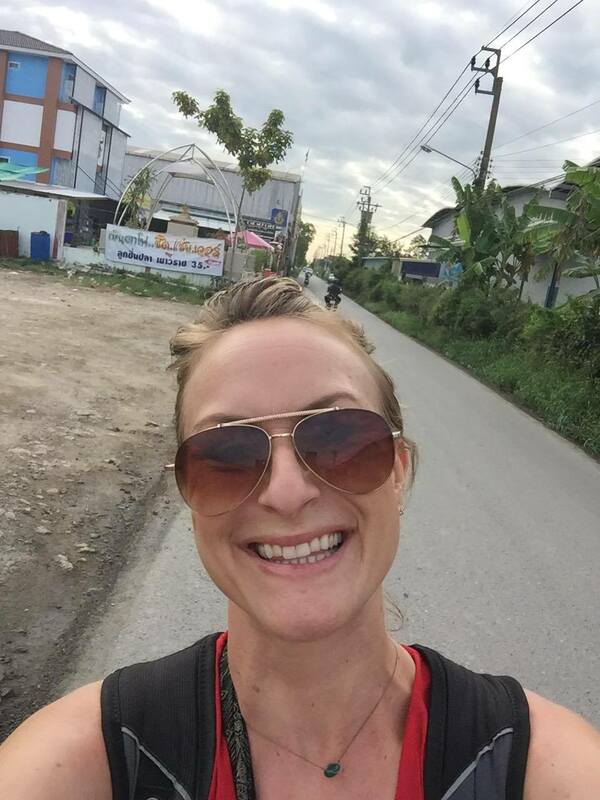 Why did you decide to teach in Thailand and how has the experience influenced your career path? Prior to teaching in Thailand, I worked at a software company for about 2 years. Everyday I woke up, went to the office, sat in a chair, and didn’t see the sun for 8-9 hours. As the sun was going down, I’d leave the office and either head to my cross-fit class or go grab a beer with friends. Specifically for me, I felt like I wasn’t able to use my funny and quirky personality to make advancements in my career because I didn’t feel fulfilled with that type of work. At the end of the day I was drained. I knew I needed to be able to utilize my passion for really connecting with people and using humor to do so. I knew I needed to make a drastic change to shock myself back into living a personally fulfilling lifestyle that I had back in college. 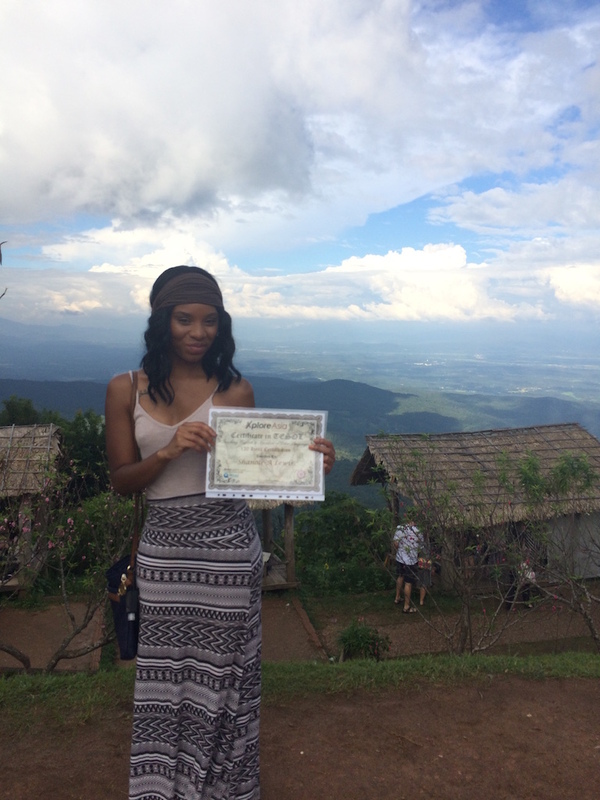 I felt like I needed to take on responsibilities that I truly cared about and Thailand was that perfect shock! 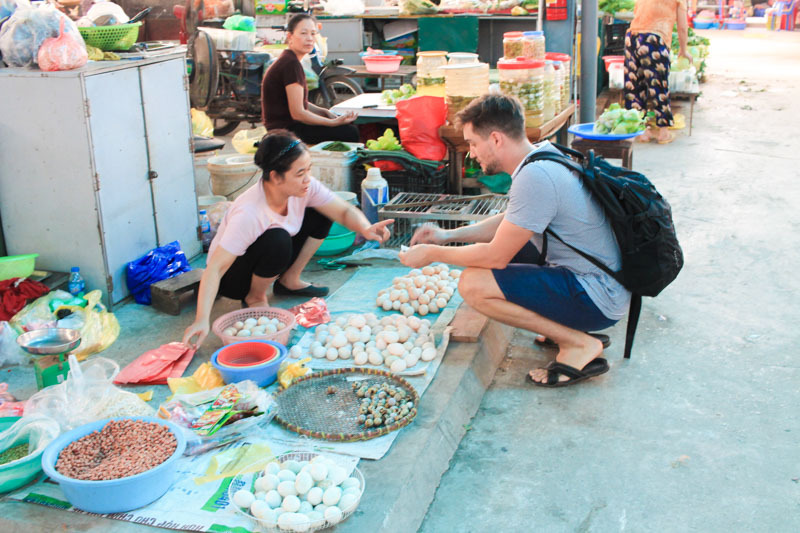 What has teaching in Thailand taught you about work-life balance and finding value in what you do? In Thailand, I have really come to value living in open air spaces and how much the sun can influence my attitude and energy levels. Sure, I have my days where I just want to collapse on my bed after a hard day of teaching and find a new Netflix show to watch, but most days I feel that my students and the sun give me more energy to exert after-school. While living here, I taught myself how to play the guitar, I attended Thai language lessons twice a week, and sometimes, I even had the energy to exercise after a day of working on my feet. 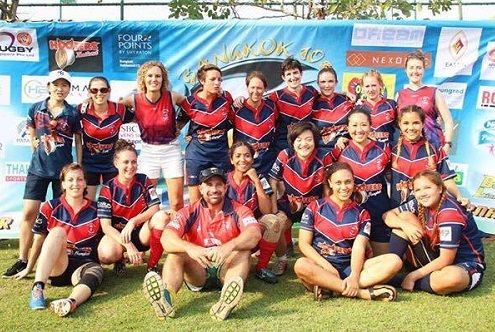 I also joined the Bangkok Women’s Rugby Team and have played in a couple on international tournaments against ASEAN teams. Basically being exposed to fresh air and the sun does wonders for your soul and well-being (and wearing sunscreen, of course). My environment gives me the energy to use my funny and loud teacher persona. The weirder and sillier I am in class, the more my students pay attention to the words coming out of my mouth. I’ve started to understand that working in an environment that allows my personality to thrive gives me the energy to continue working on my personal goals after the work day ends. Teaching can be very tough, and I’ve experienced several mental blocks and the “push and pull” of growing up in a western culture but loving a culture so different from my own. At times, it can be hard to navigate what I want in the future because of this, but I am learning more about what I want and don’t want in my life to be with each coming day and experience. Since teaching in Thailand, what do you currently do for work? How did your experience in Thailand shape this decision? Since starting my experience teaching in Thailand, I have never reached a point where I felt like my time here was done. 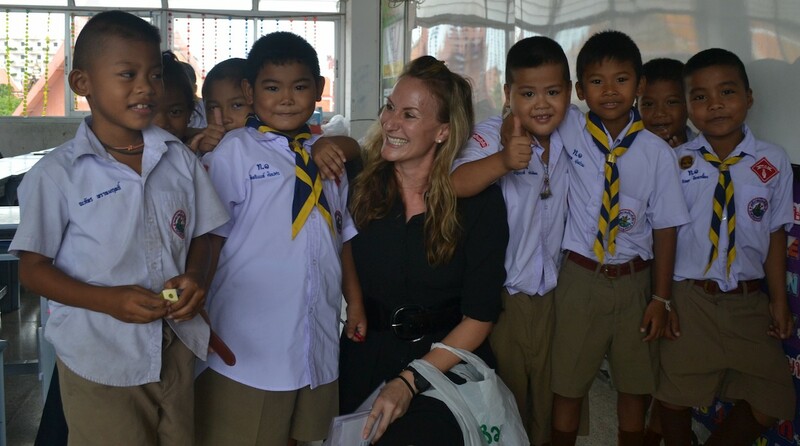 Although I have finished up my 1 year contract with my school in Pranburi, I will continue teaching English at a new and much larger school in Chonburi, and then we’ll see what the future has in store for me! Where is your favourite place to travel in Thailand? Krabi was the first place I fell in love with because of how much it reminds me of Avatar. I went on the most beautiful hike that led to a breathtaking view of a dozen islands. Although I lived in Pranburi for a year, I will never get sick of driving around on my motorcycle and exploring the roads. I think Pranburi will always be my favorite place in Thailand. And last, but not least, what advice would you offer prospective teachers or anyone considering taking this step? Just do it. Take a chance on yourself! Being scared is a good thing because when you make it to the other side of that fear, you will respect yourself so much. Find yourself by getting lost and throwing yourself in new situations where you need to trust and rely on your own abilities. Thank you so much, Jessica! We loved what you said about working in an environment that allows your personality to grow. While we know more than anything that teaching is hard work, we also know that the experience provides so many valuable opportunities and incredible experiences that open countless doors down the road. We are inspired by your spirit and passion for teaching, and we look forward to hearing about all of the amazing adventures and accomplishments ahead for you. 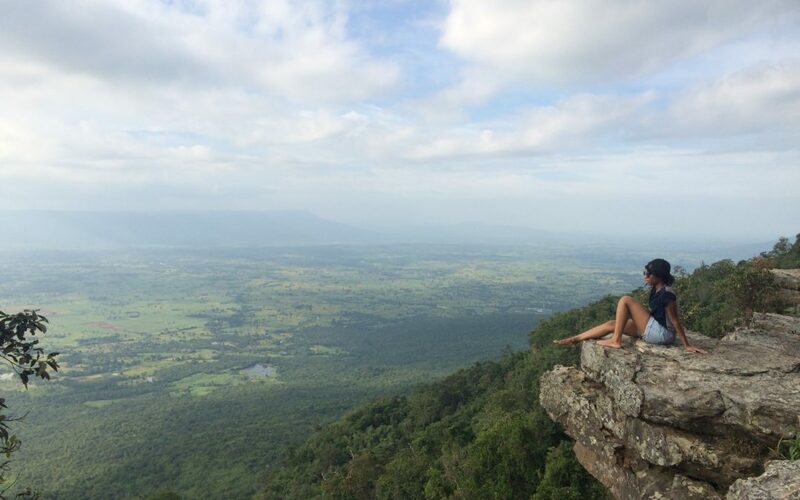 Curious on how you can start your own adventure abroad? Read all about our amazing programs here. 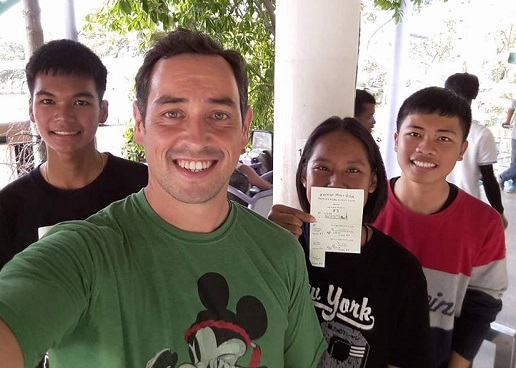 Signing up to be an English teacher in Thailand requires courage, a sense of adventure, and the dedication to make a difference in the lives of your students. But actually living the experience goes even further than that! You might find that not only will you change the lives of those in your community and school, but the experience will also broaden your horizons and help to shape you as an individual. 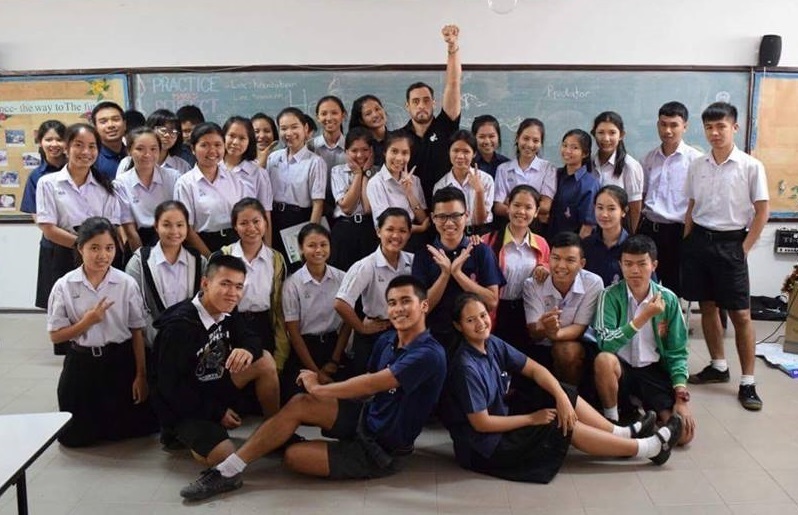 We had the chance to ask one of our participants Bronson Taiapa about his daily life as an English teacher in Thailand. 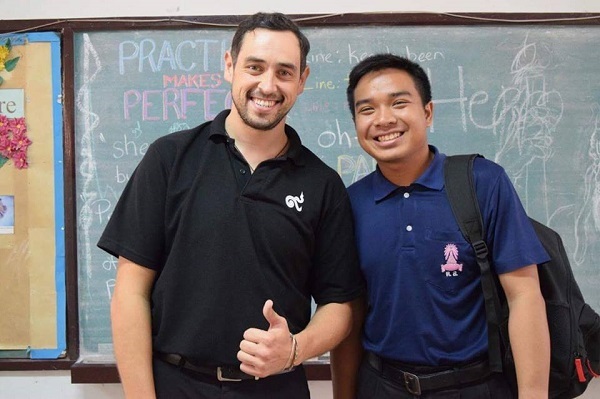 Bronson was one of our TESOL course participants last April, and he started teaching in Isaan, Thailand, last May. 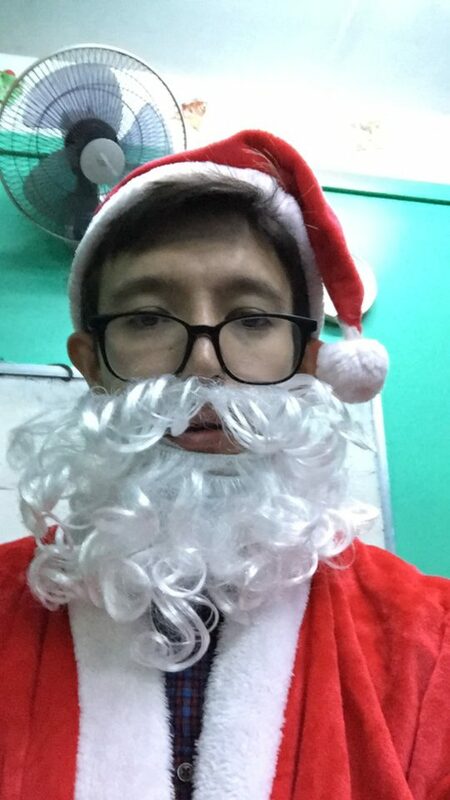 Since then, he’s loved it so much that he is now in his second year as an English teacher in Thailand. 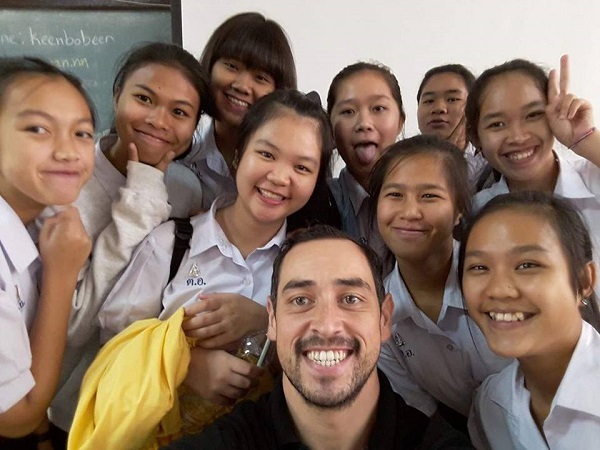 Here, we chat with Bronson about his daily life in Isaan and how teaching in Thailand continues to inspire him! 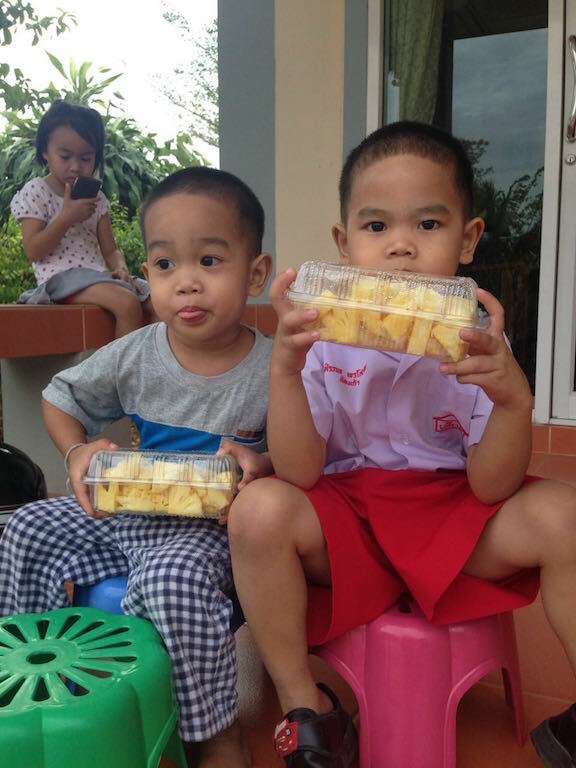 How did you decide to teach in Thailand? I was a screen-printer for several years back in New Zealand, and I needed a change in my work. I wanted to try something that scares me and since I don’t like talking in public, I thought I’d try teaching. Thailand is an amazing place and luckily, it was the place I could go to learn to teach. Where in Thailand do you teach English? I teach in Sawang Daen Din, Sakon Nakhon, Isaan. It’s in the western part of a province of Northeast Thailand. How many students/grades do you teach? I teach 2 grades: Mathayom 4 from 4/1 -16, and half of Mathayom 6 (High-school). I have about 960 students, give or take 10 or 20 students. Could you walk us through an average day in your life as a teacher? An average day would begin with waking up at about 6:45am, getting ready and being at school by 7.40am. School always starts with assembly at 8am, but I’m not expected to be there, so most of the time I just go to my classroom and set up for the first lesson at 8:25am. I usually have 2 or 3 classes after lunch, my last class ending about 2:50pm, or I have one that ends at 3:40pm. On Tuesdays and Thursdays, I have a few kids that come in and practice their English with me and with one another. It’s usually a pretty relaxed session – no stress, just practice, and on those days, we finish at around 5:30pm. We usually have 2 classes, then a small 25 minute break, which I’ll usually use to eat some breakfast (usually fruit from the cafeteria). We have another 2 classes after that, and then lunch. During lunch I occasionally like to walk around and talk to students or play sports (if it’s not too hot, and if I’m not sweating too much by that stage). On other days, I get lunch and go to my classroom to eat. I’ll usually find some students sitting there for the next class, but mostly they’re there to escape the heat outside, so I generally put on a movie, and we’ll sit and chill while I eat. On the other days, however, I’m usually home, out of my work gear, and relaxing by 4:30pm. Sometimes I’ll play basketball with my students around 5pm when it has cooled down. What do you enjoy most about teaching English in Thailand? Having fun with the kids definitely. They’re awesome! Conversely, what are some challenges you face as a teacher? Holidays. As great as they are, they made the second semester very difficult to test my students and get grades for them. Classroom management is also always a challenge for me. If you give them an inch, most times they’ll take a mile; this is a challenge for me because I don’t like raise my voice to my kids or even punish them. It’s a lesson I’m still learning. 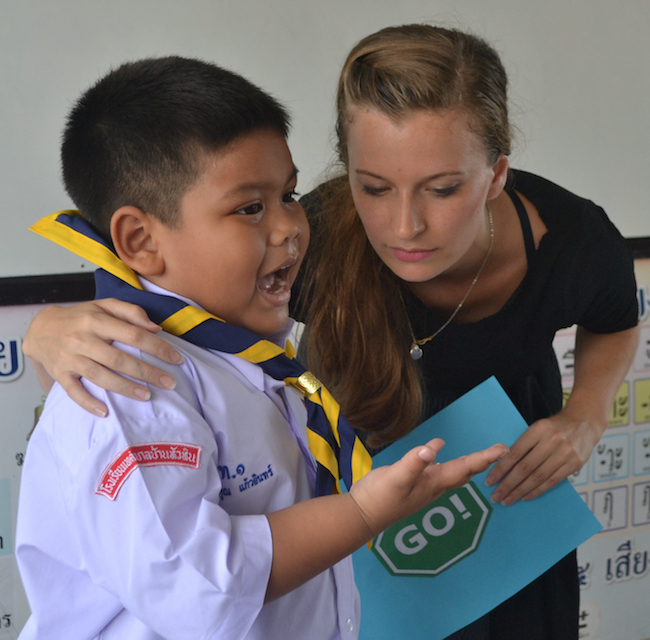 How has teaching in Thailand influenced your career path and shaped you as a person? I’ve become a more confident person in social situations. I’ve found that if I am 100 percent committed to something, I can do the things I used to doubt I could do. I think I’ve become more inspired to travel and teach and learn about other interesting cultures. Thank you so much, Bronson! 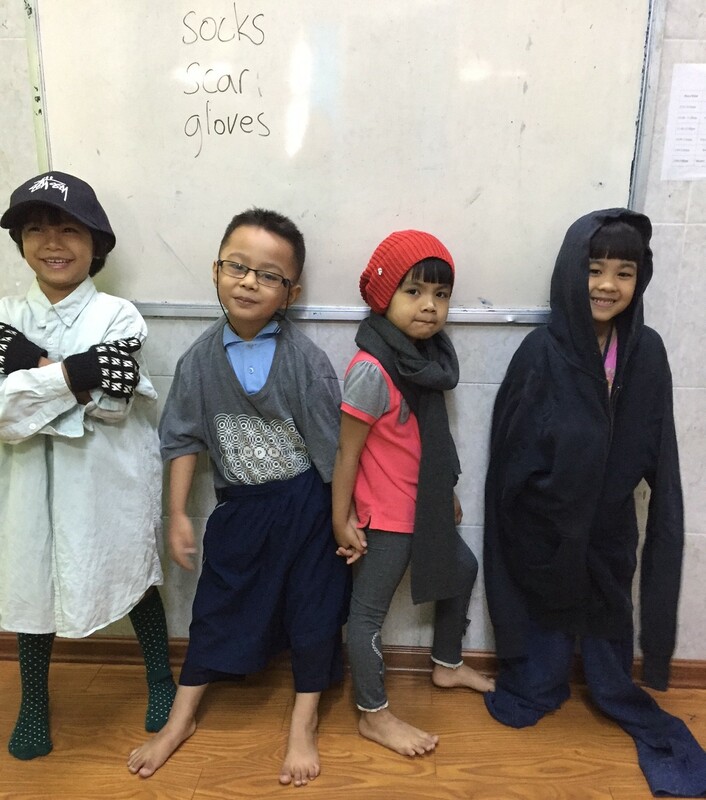 We loved learning about your daily life as an English teacher in Isaan, Thailand. You are so clearly passionate about making a difference in the lives of your students and in the community. We are impressed and inspired by the work that you do! I’m curious to know: what are some of your questions about teaching in Thailand? 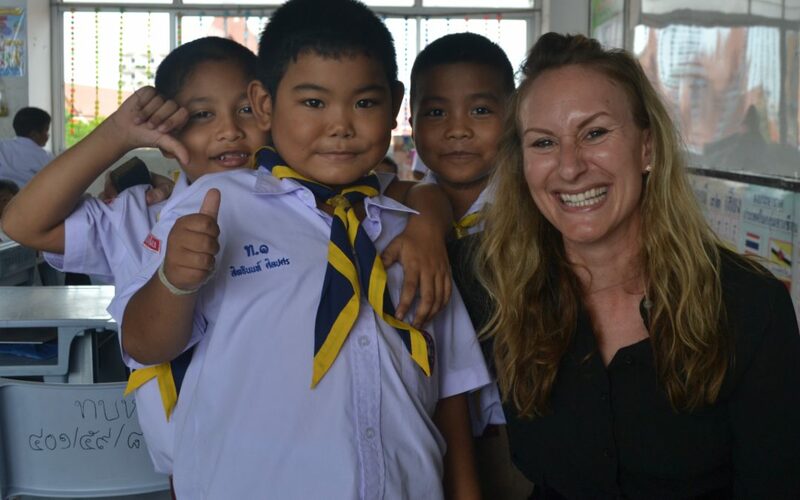 What would you like to know about life in Thailand as an English teacher? 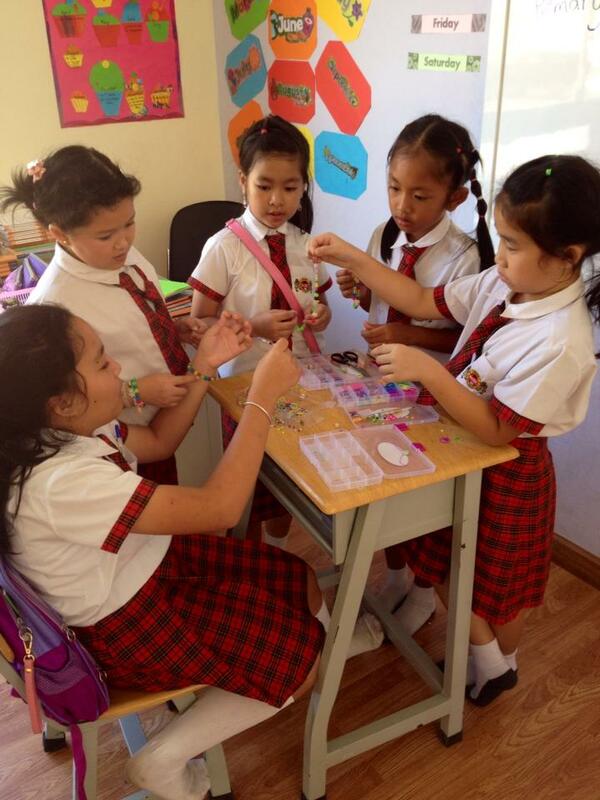 In what ways do you think that teaching in Thailand will challenge and inspire you? 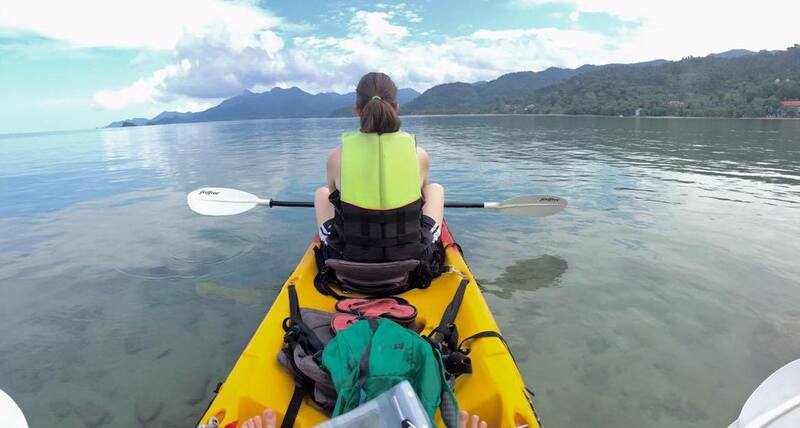 Ready to start your own adventure living and teaching abroad? Check out some of our incredible programs here. 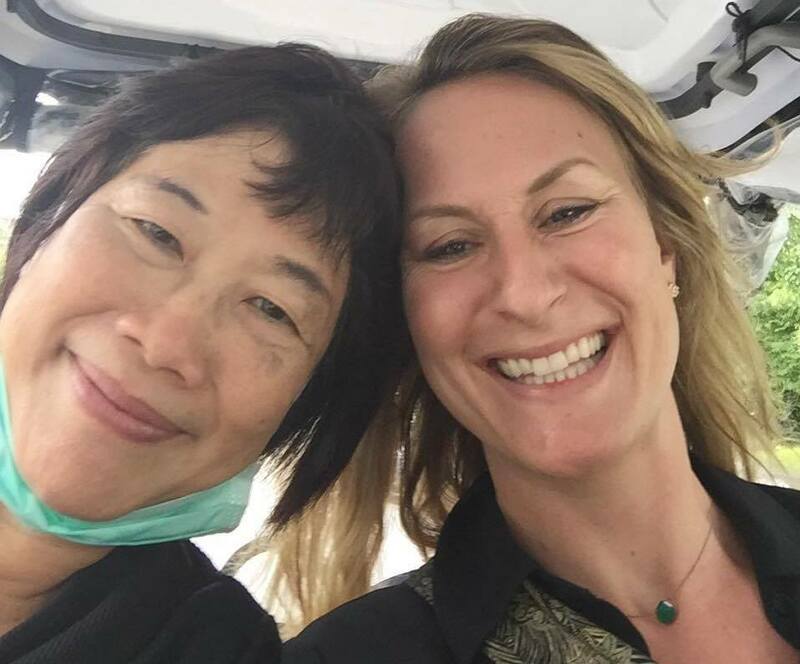 Volunteer in Thailand: An Interview with Rescue P.A.W.S.